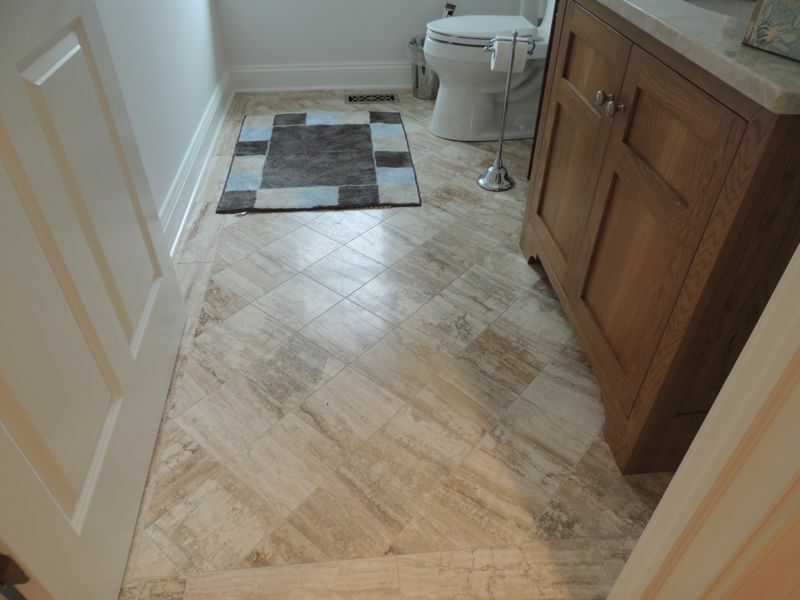 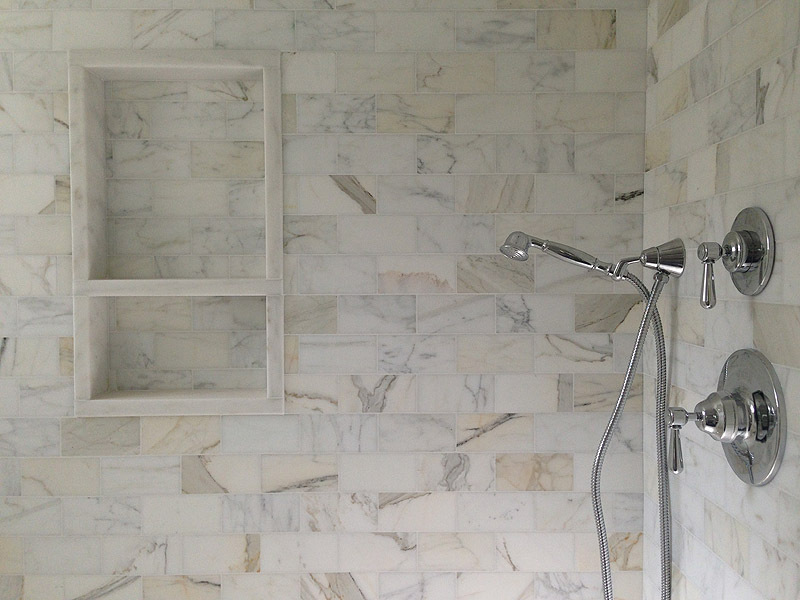 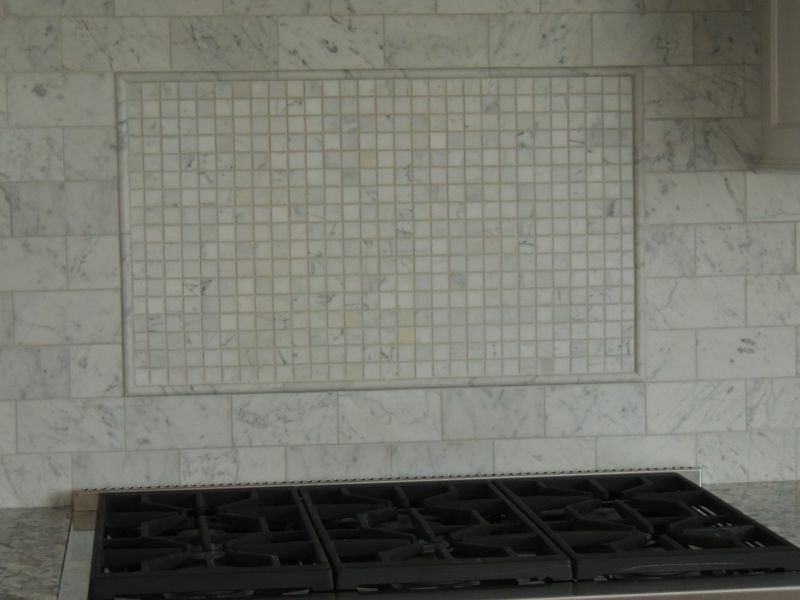 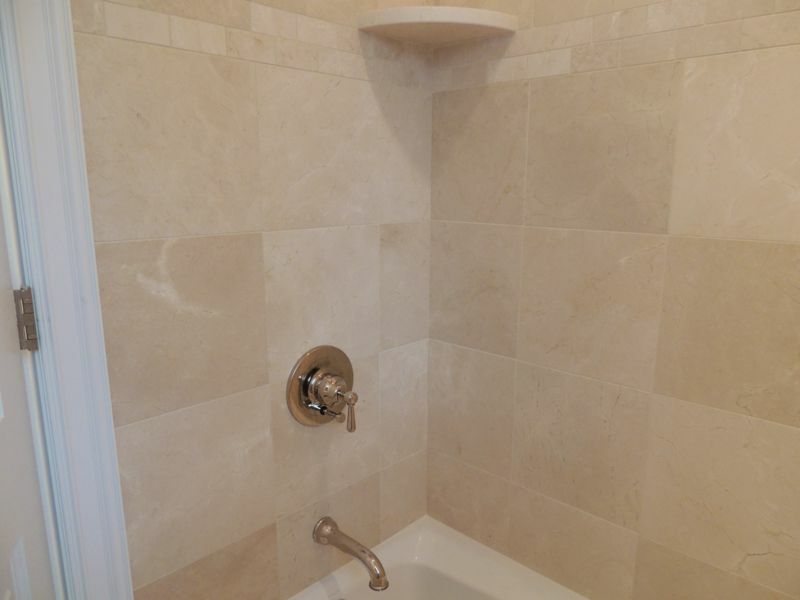 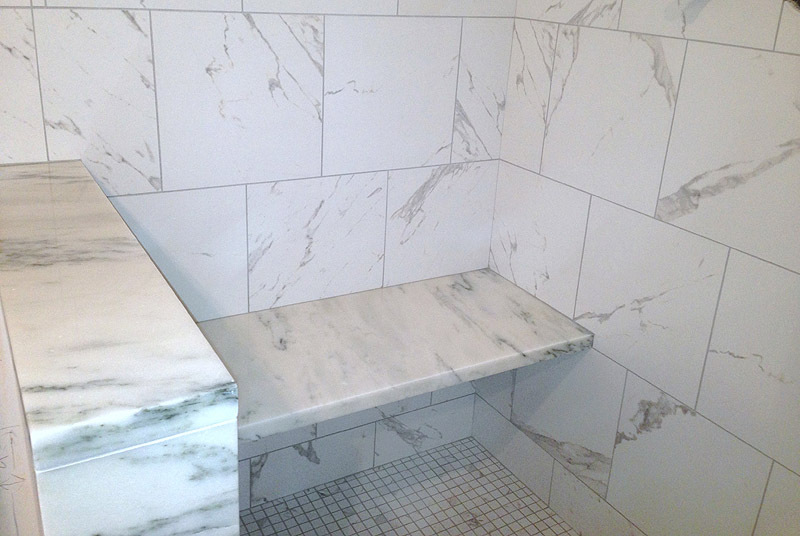 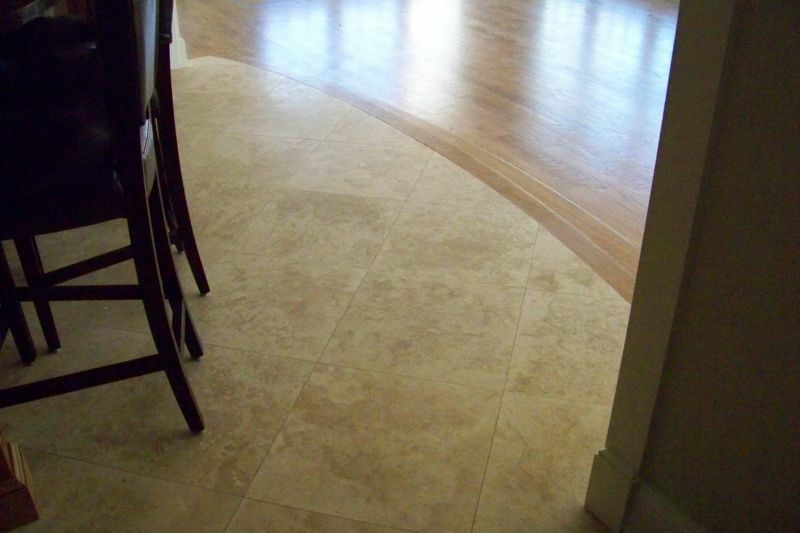 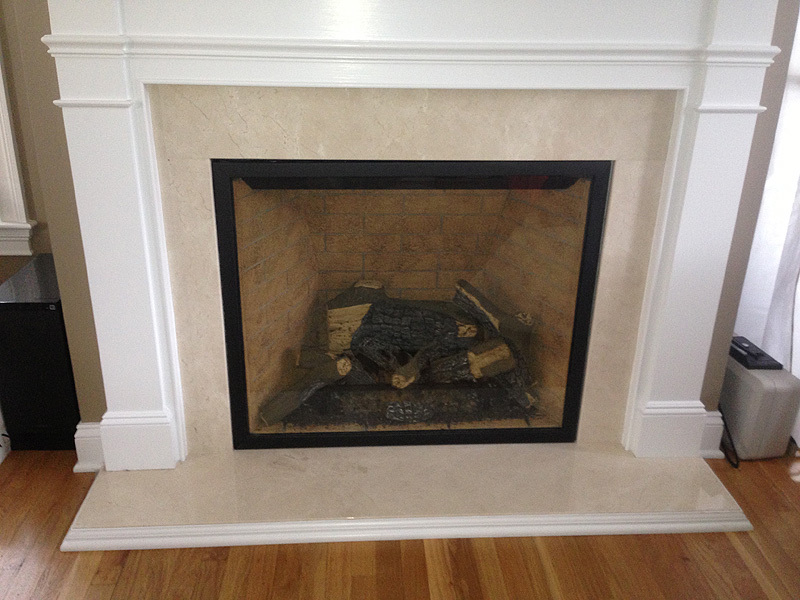 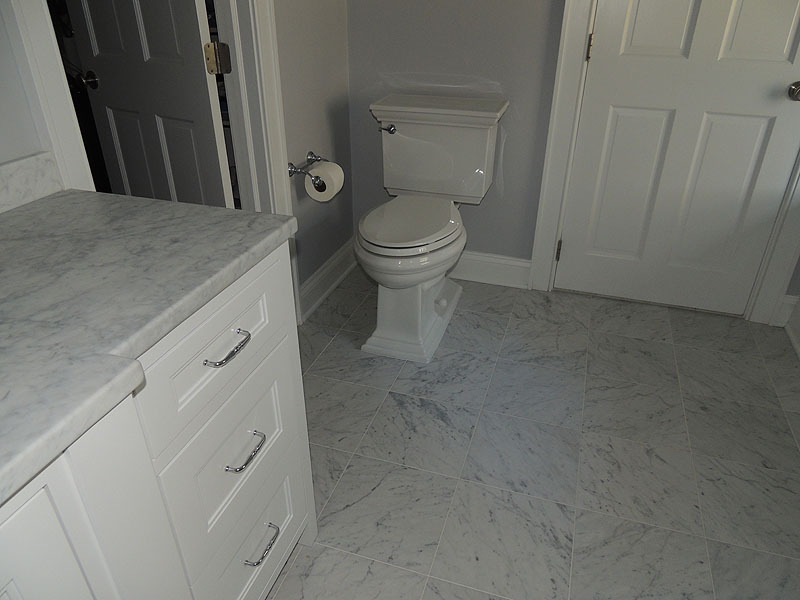 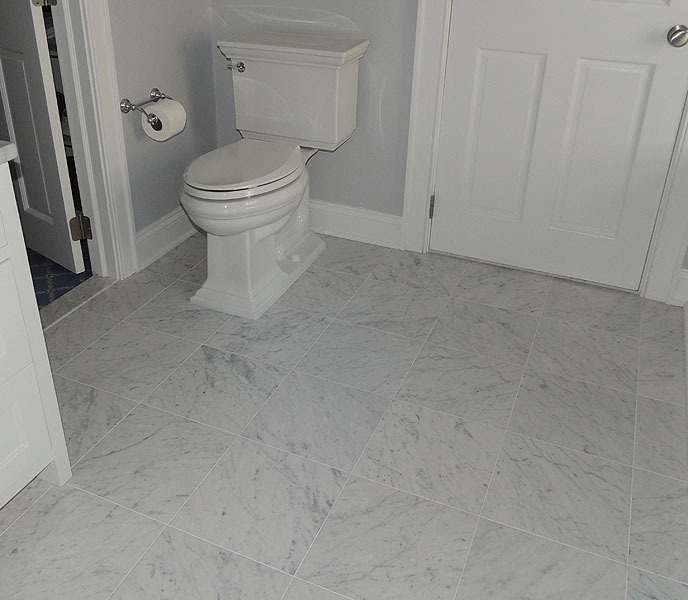 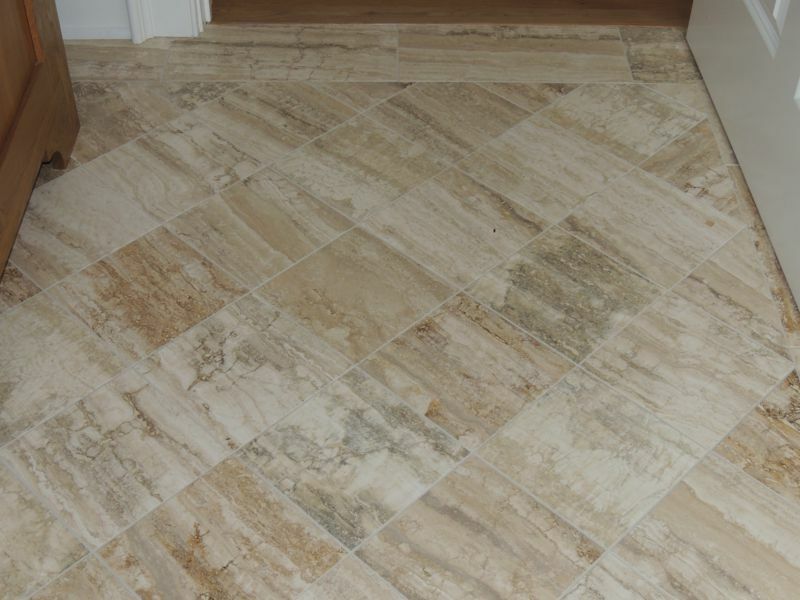 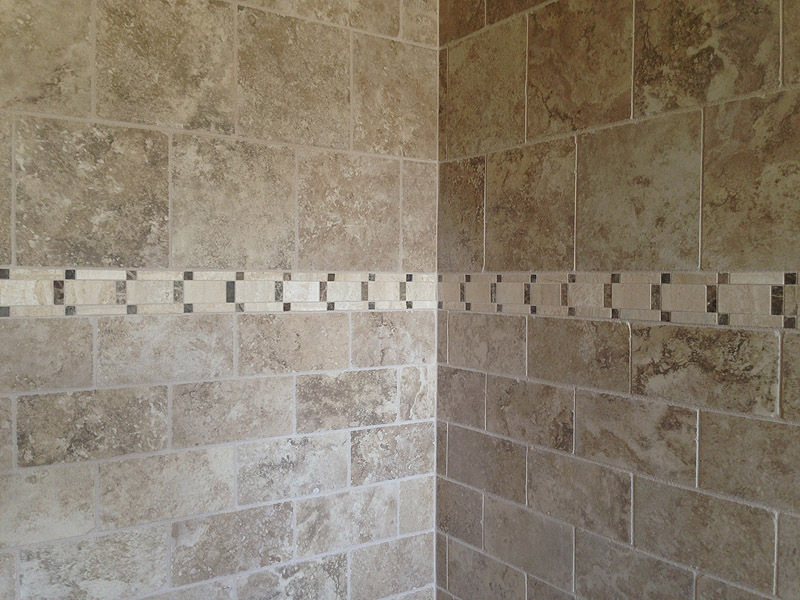 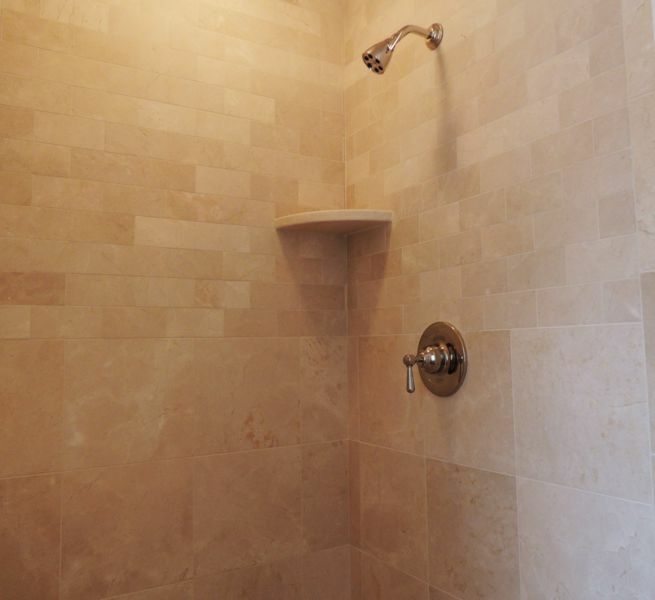 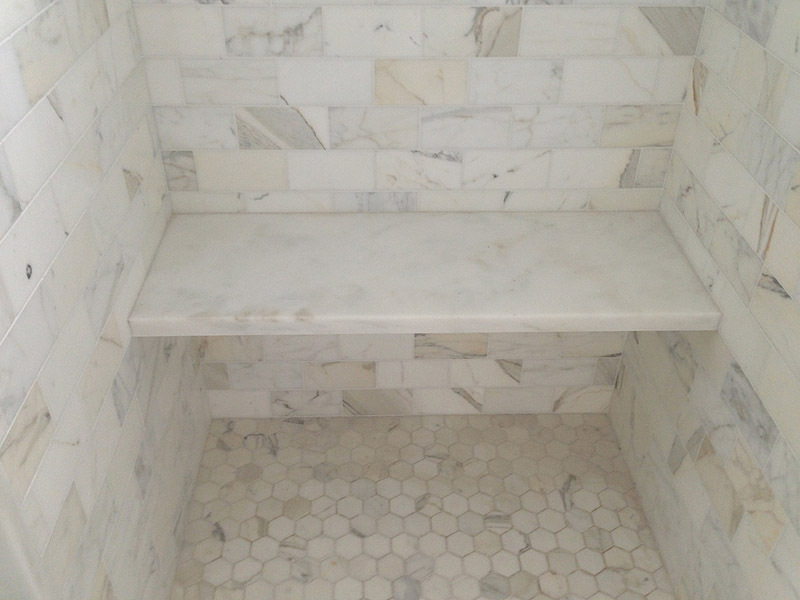 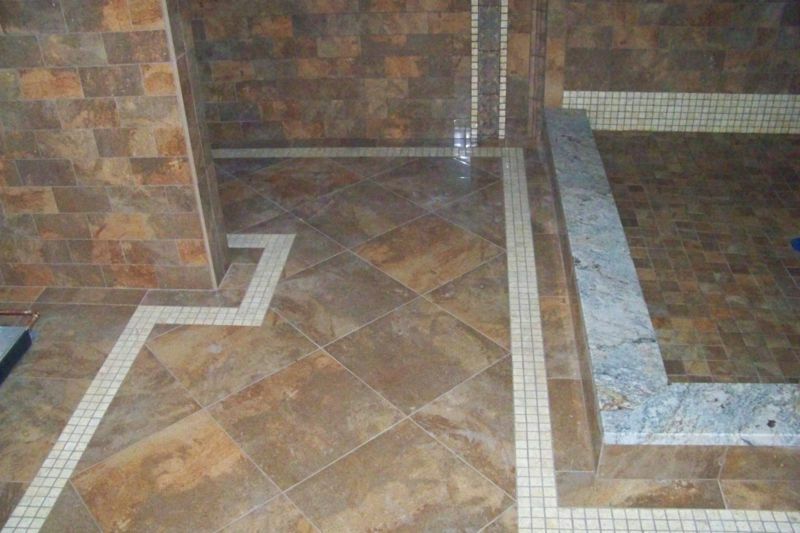 Halloran Tile and Marble, LLC prides itself on quality workmanship exceeding our customers expectations time after time. 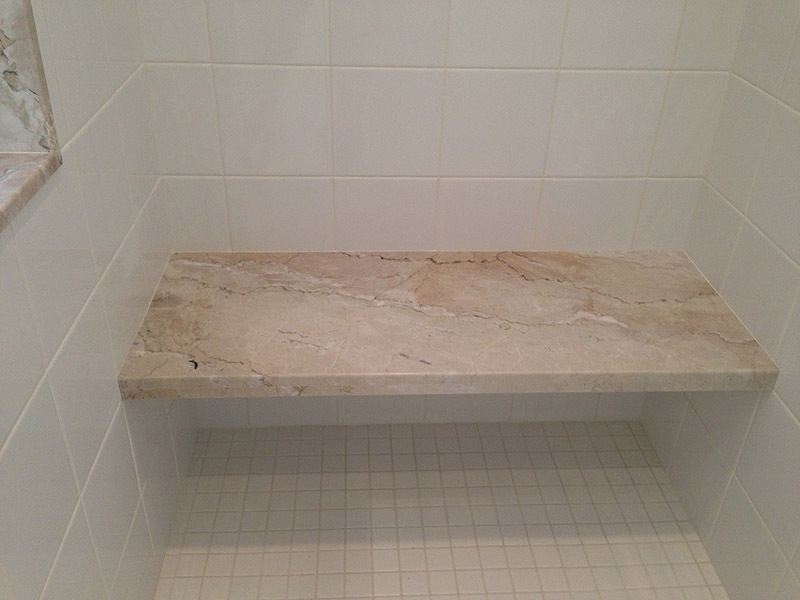 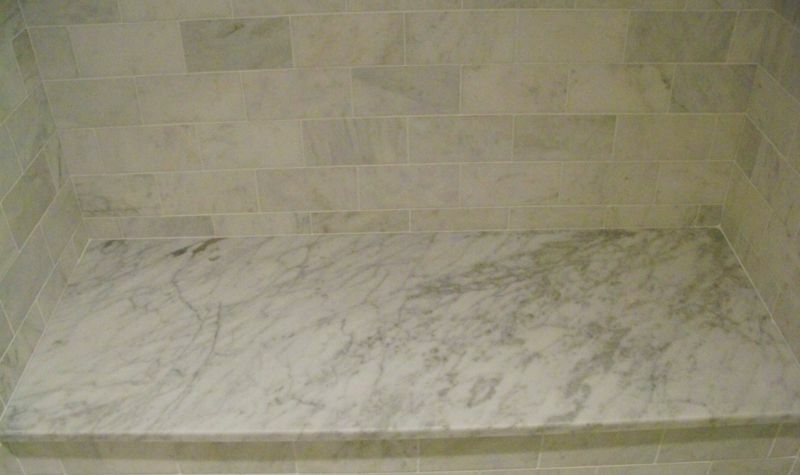 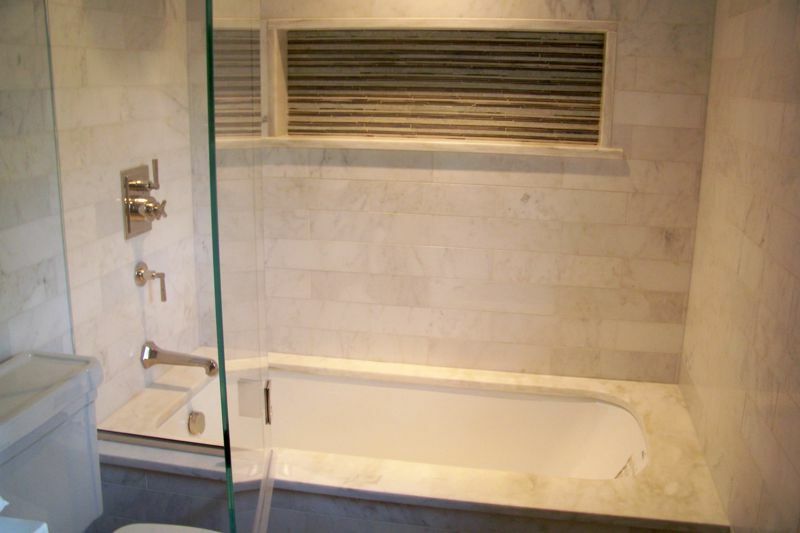 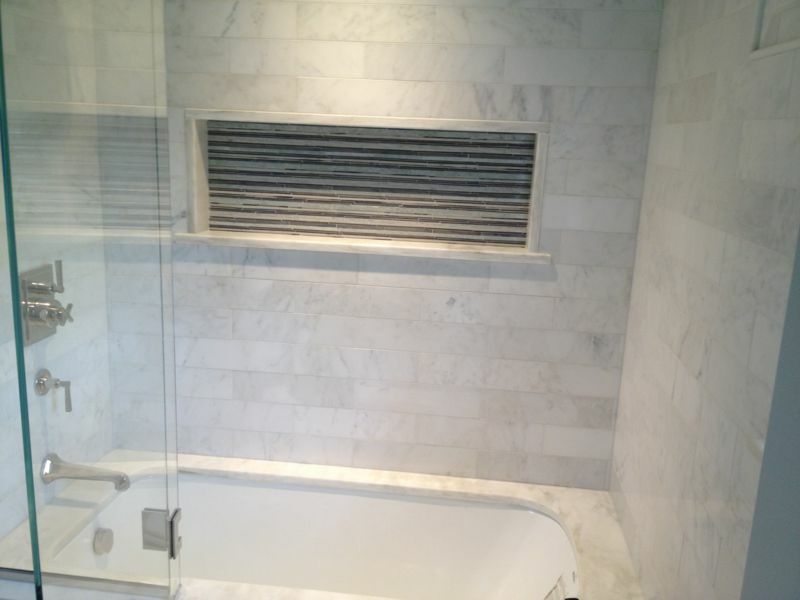 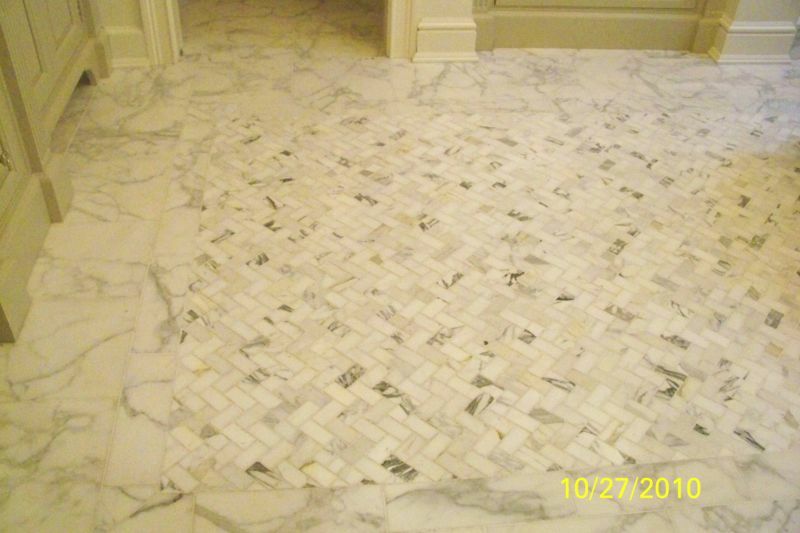 We bring commitment to excellence on every job from small repair work to high end marble installations requiring attention to intricate layouts and details. 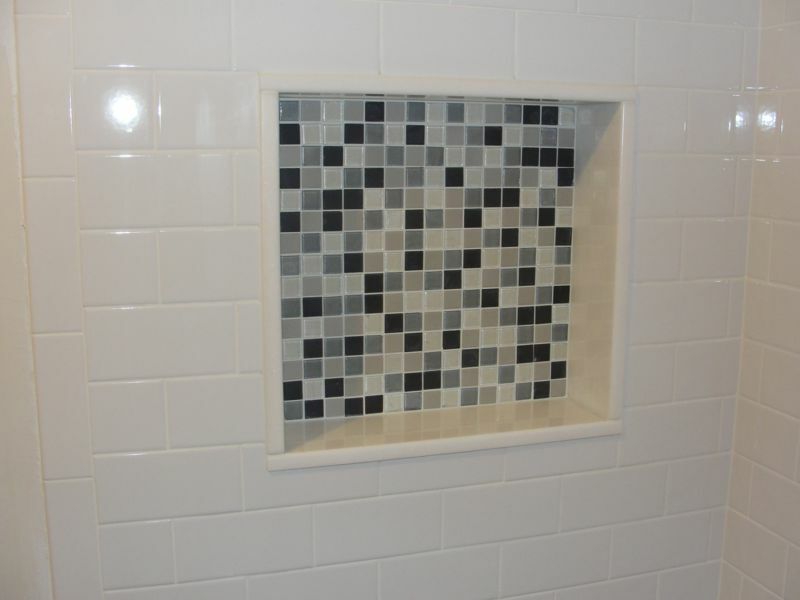 Click a thumbnail below to enlarge it. 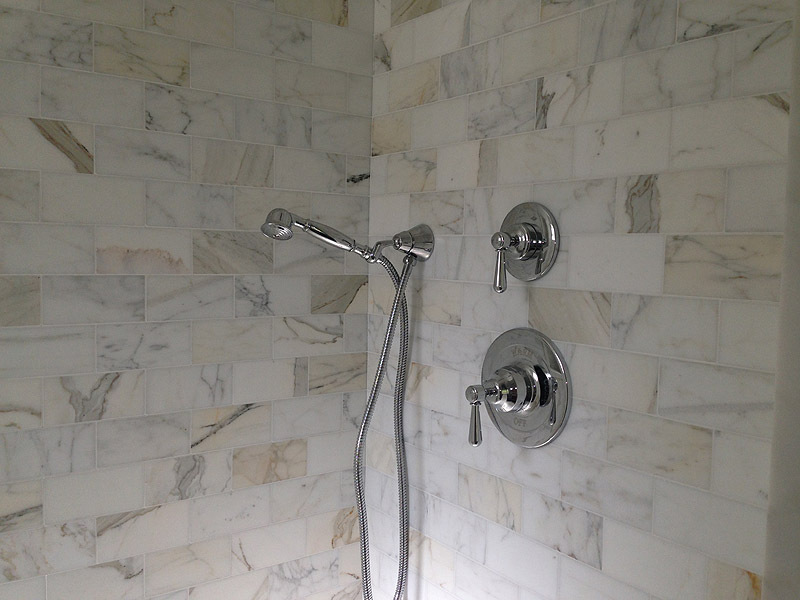 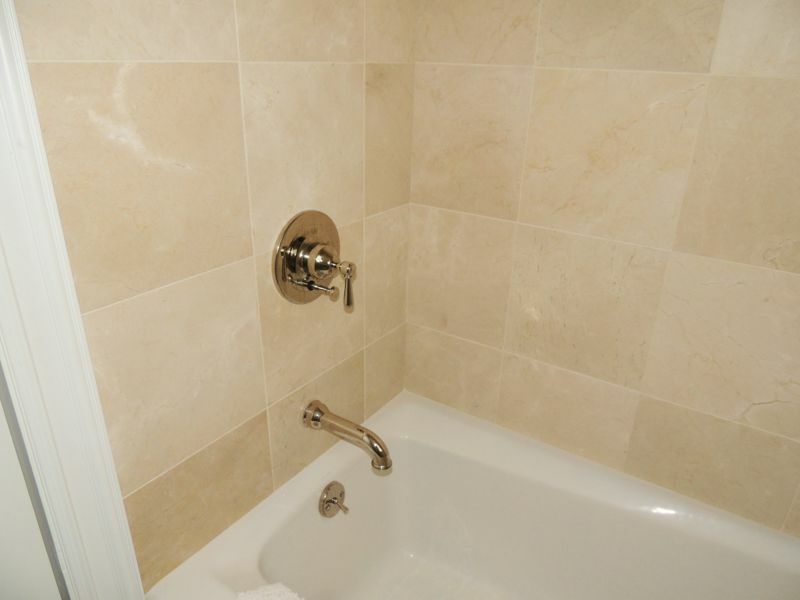 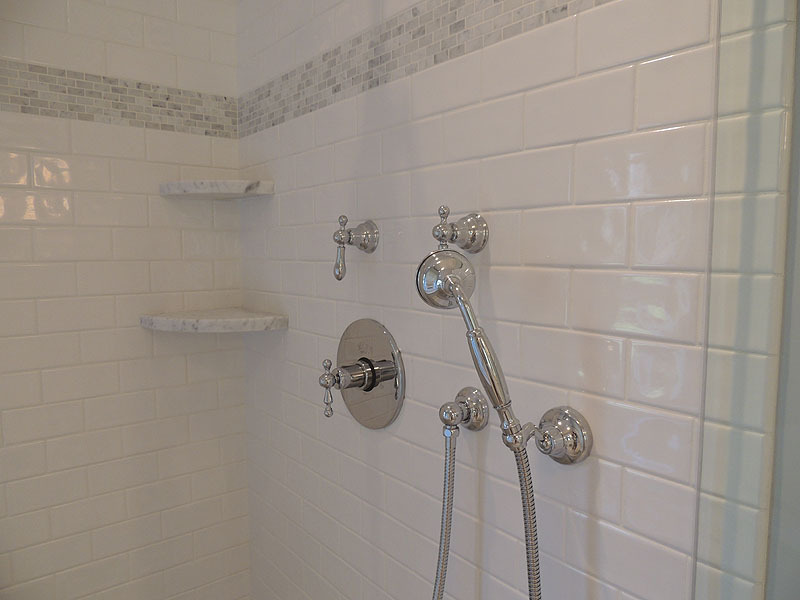 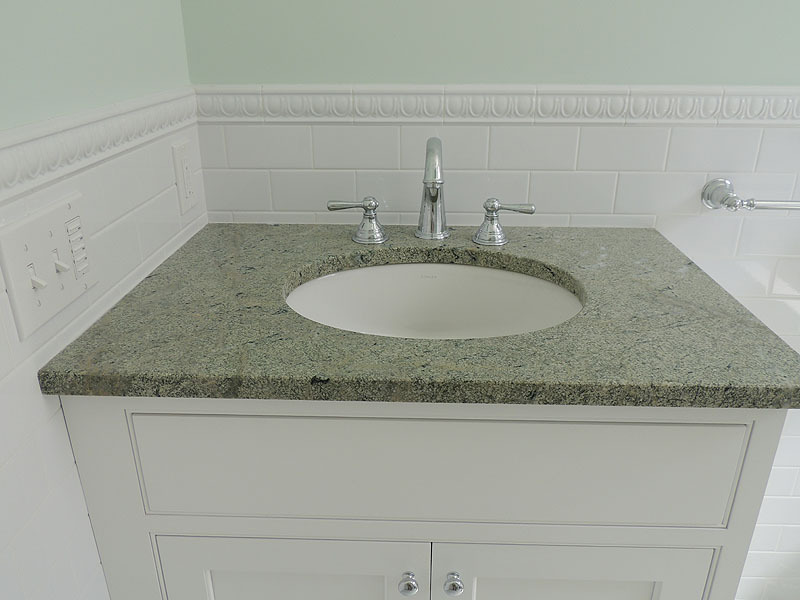 From grand Master Bathrooms with marble shower walls with decorative scroll and cubbies, marble tub decks, backsplashes and vanity tops, to simple and elegant Powder Rooms with lighted marble niches and chair rail. 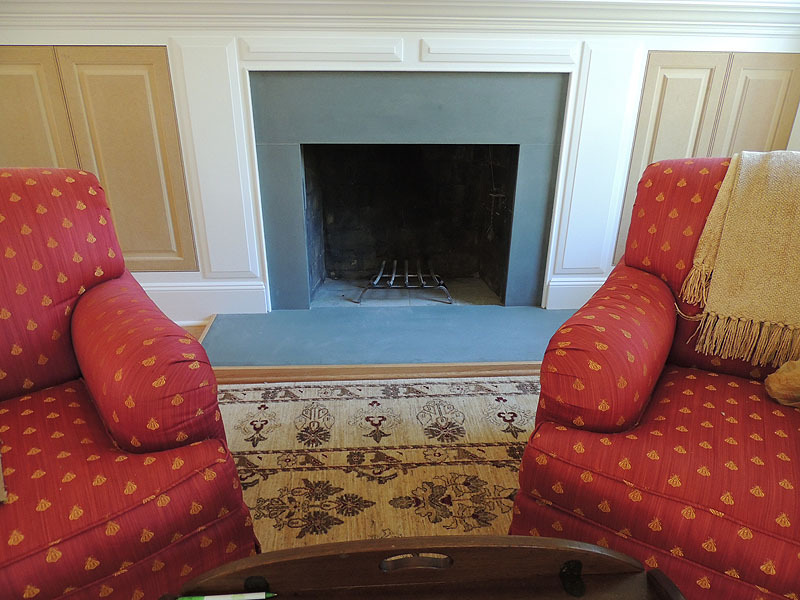 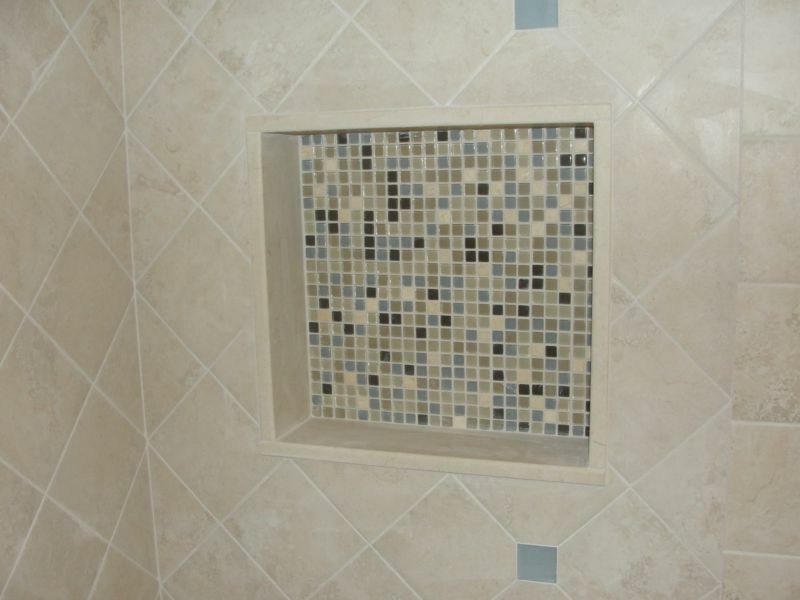 Attention to detail and professional installation make all the difference. 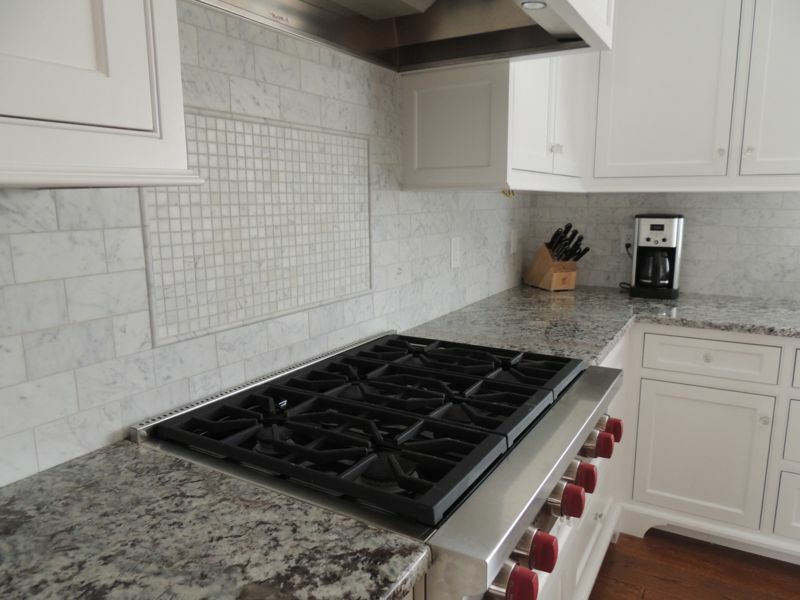 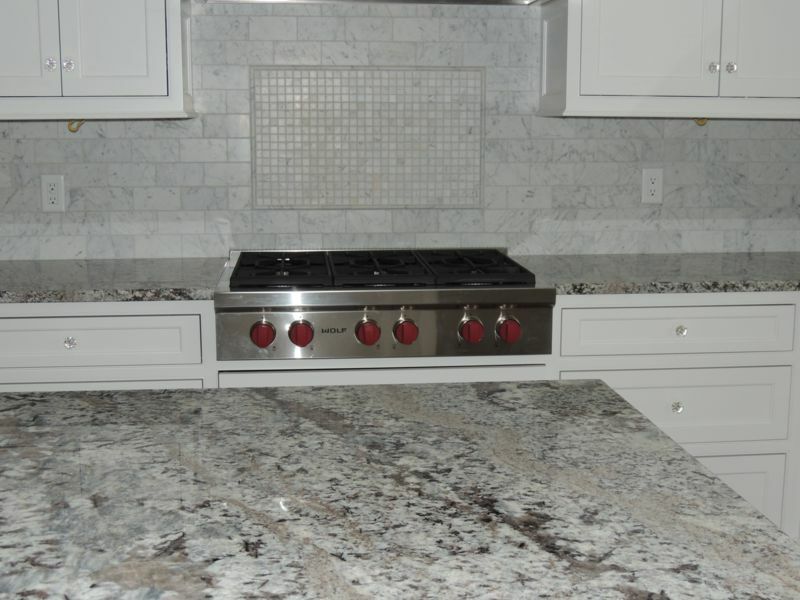 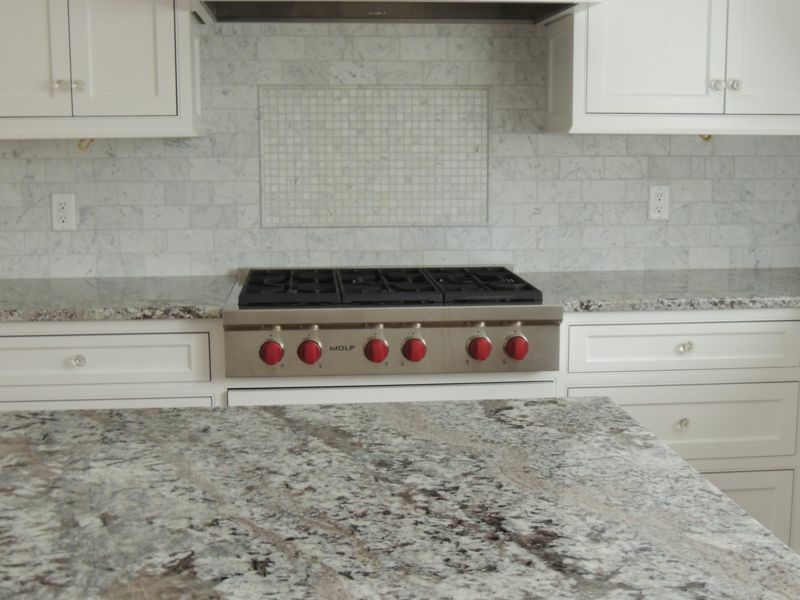 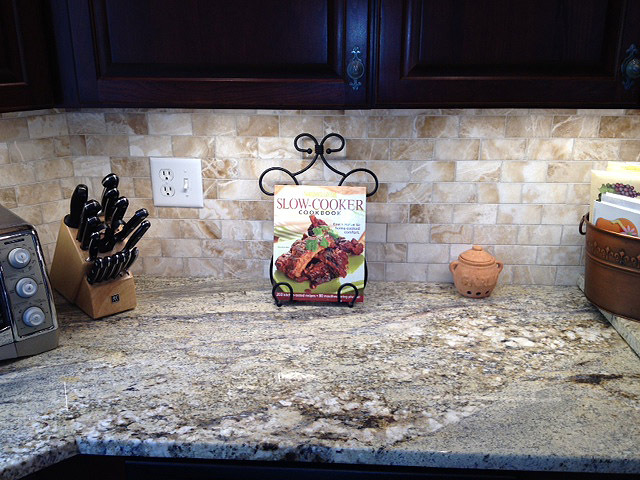 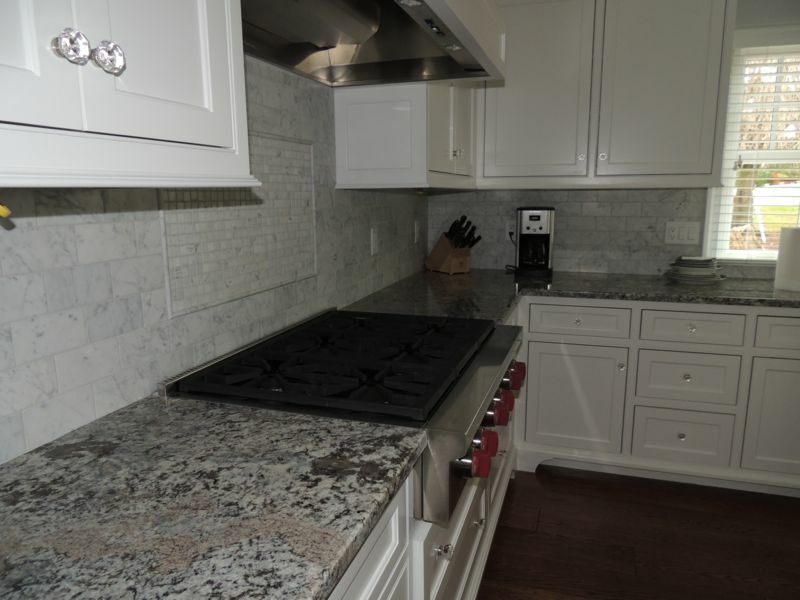 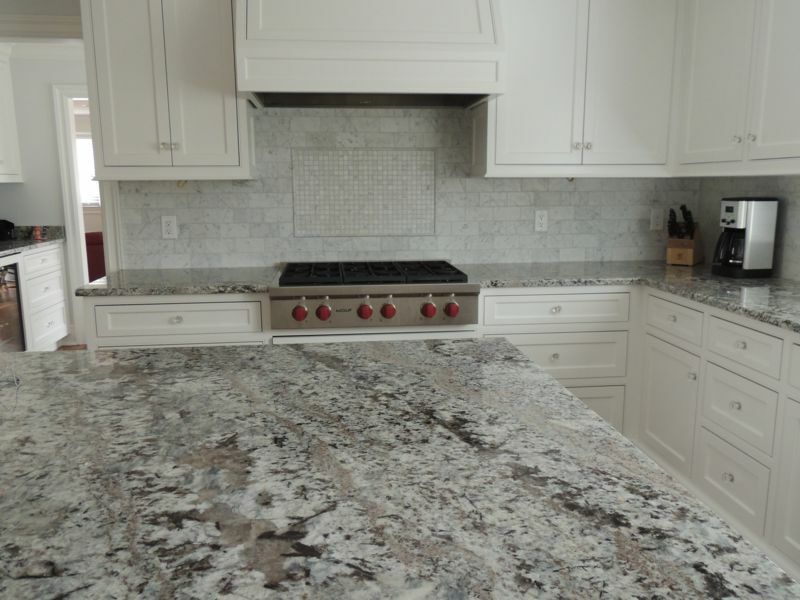 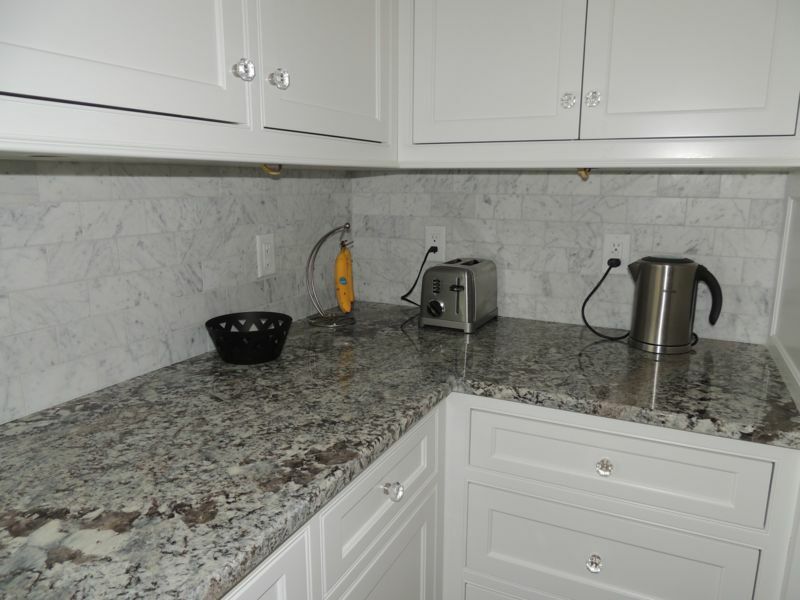 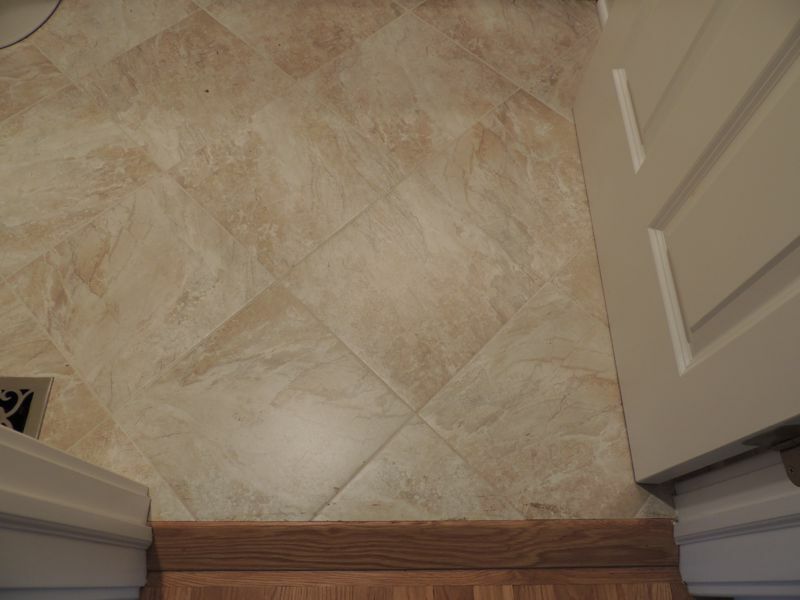 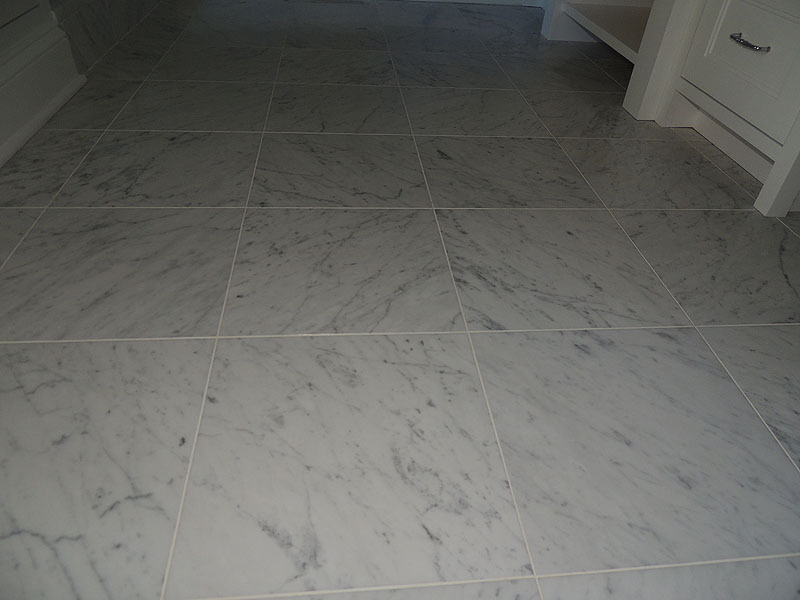 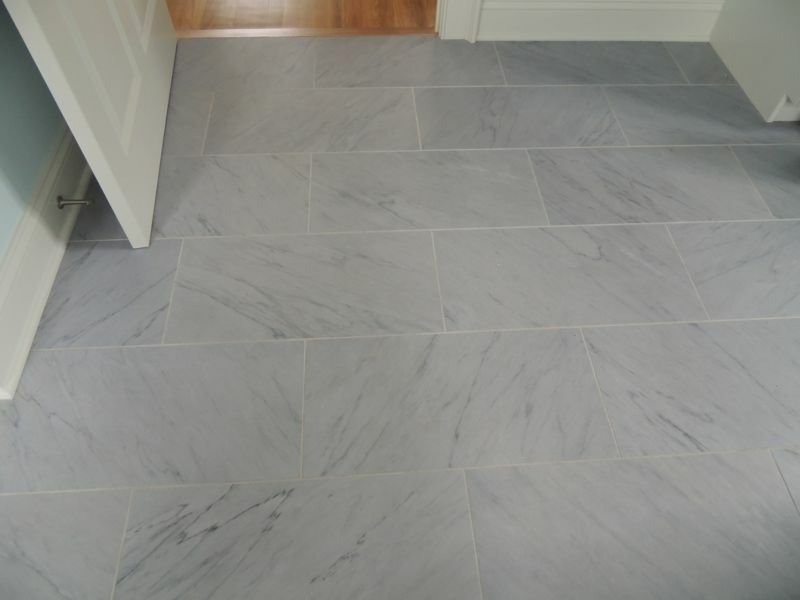 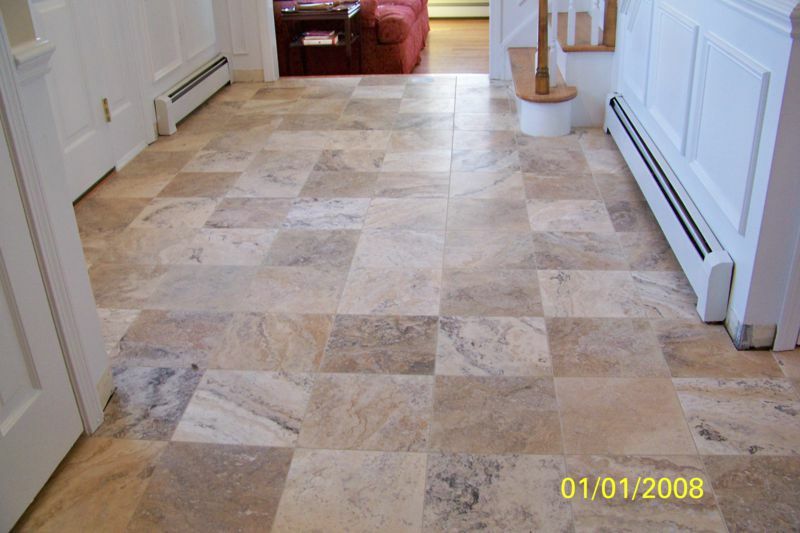 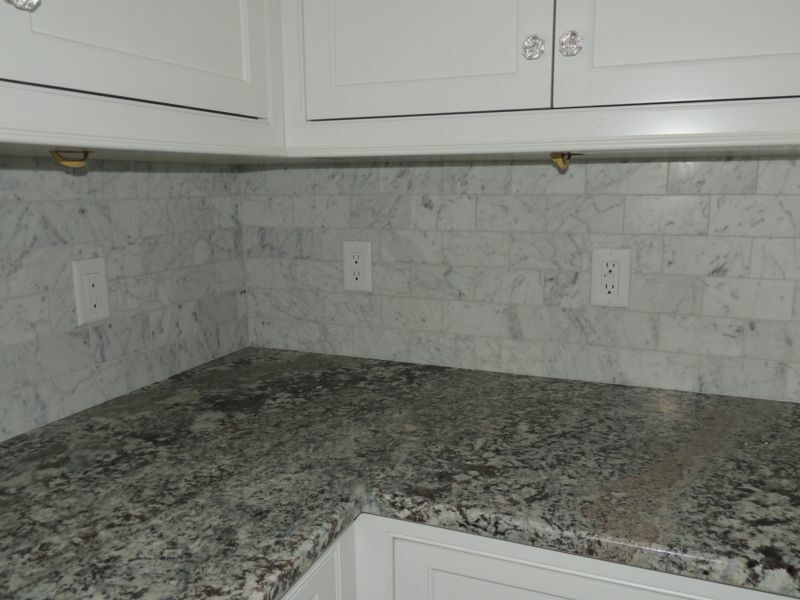 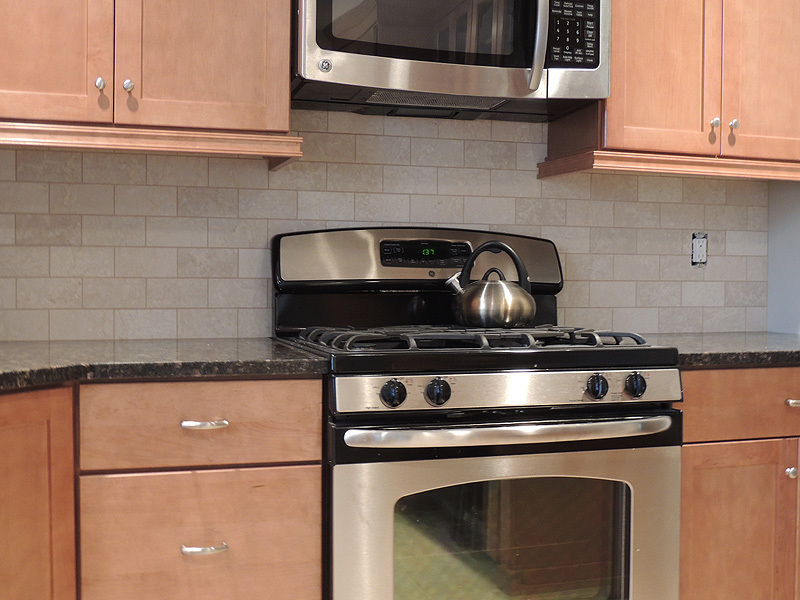 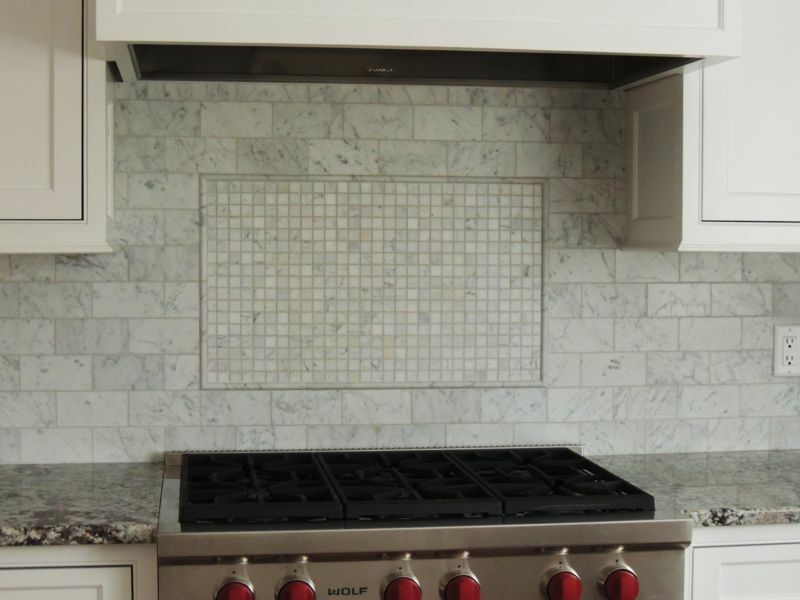 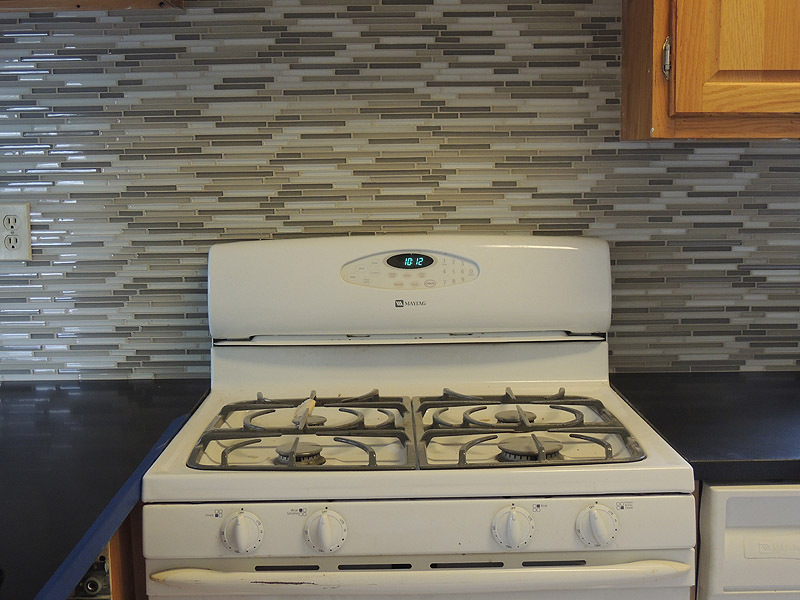 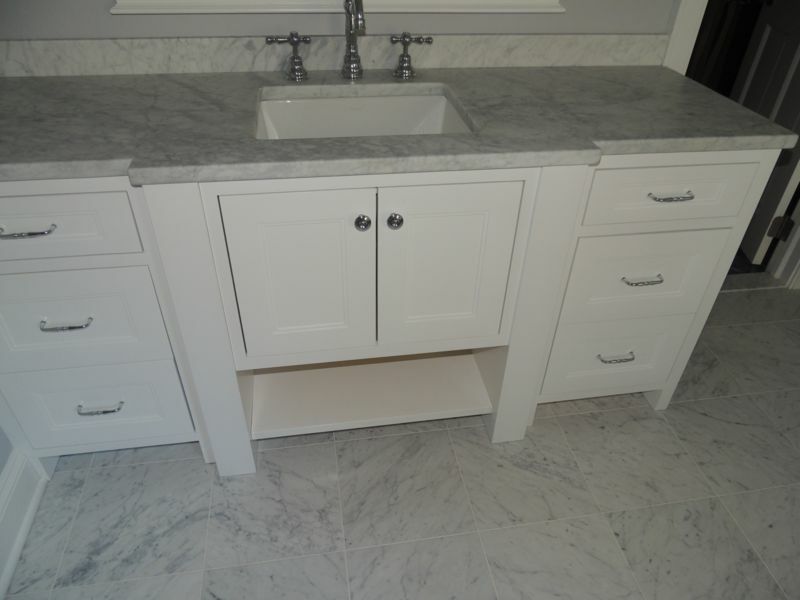 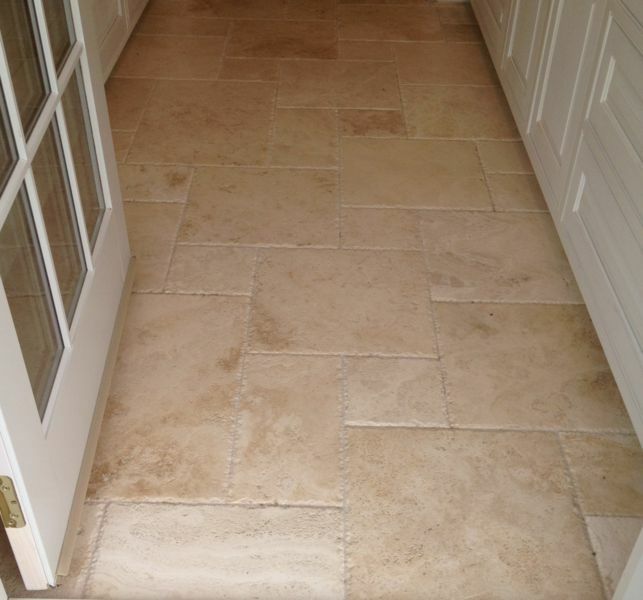 This collection of photos shows some kitchen marble and wall and floor tiling, including kitchen counter backsplashes. 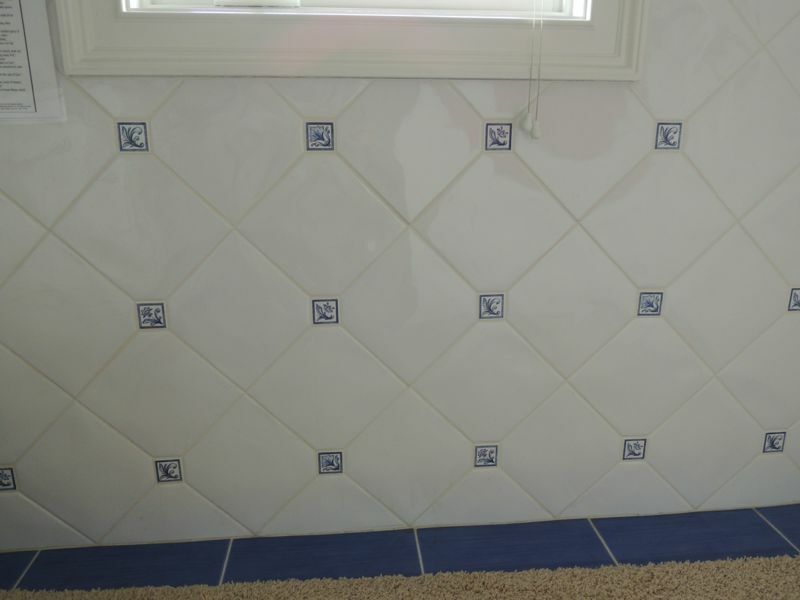 Windmill (square tile surrounded by four rectangles. 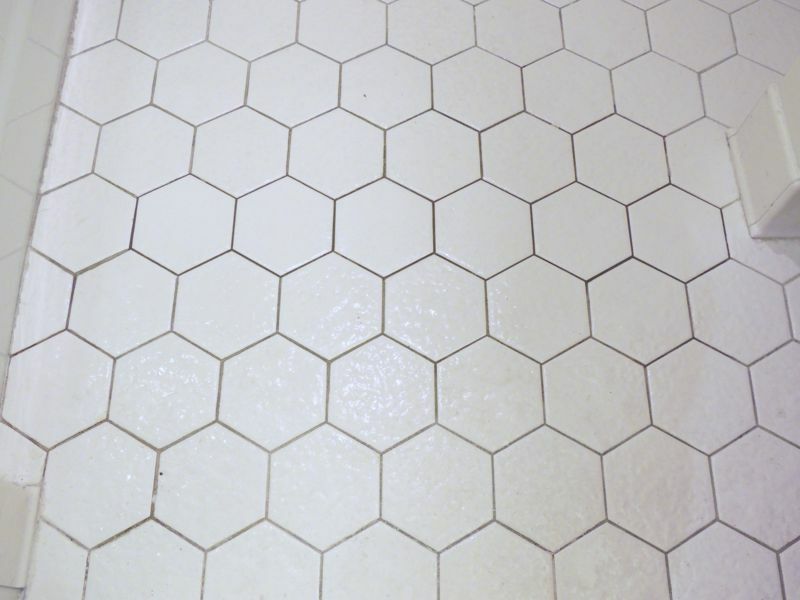 Gives a grid of dots effect). 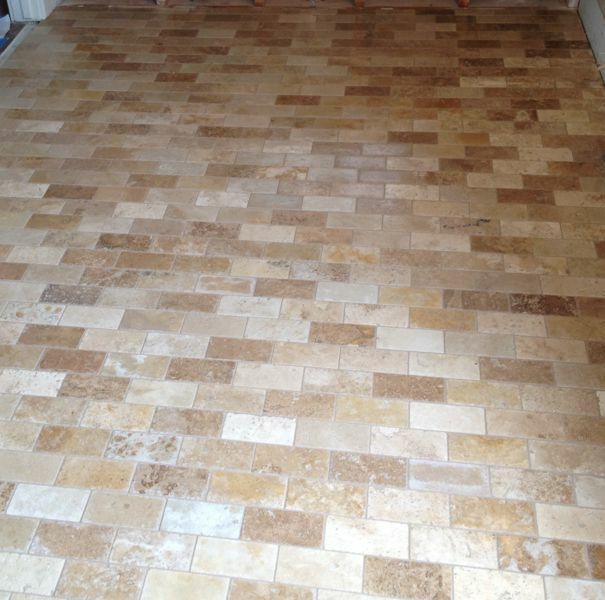 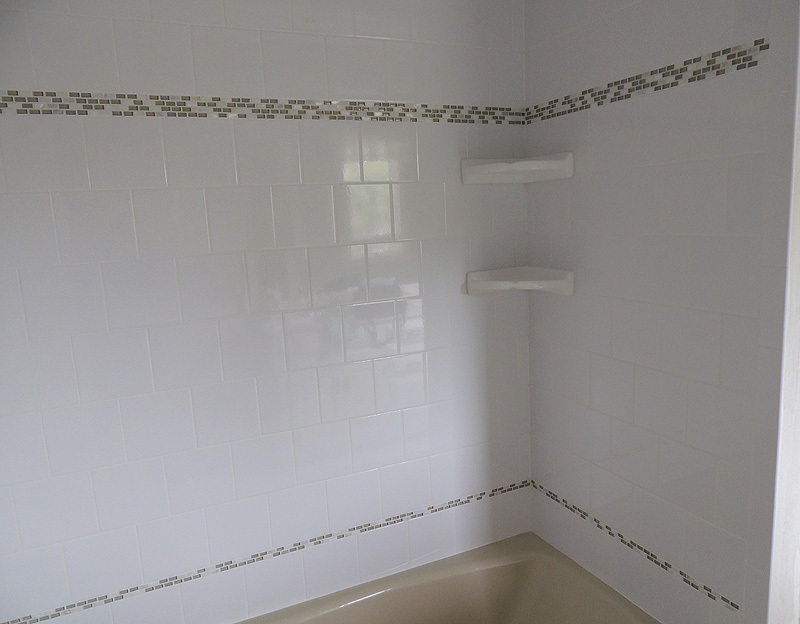 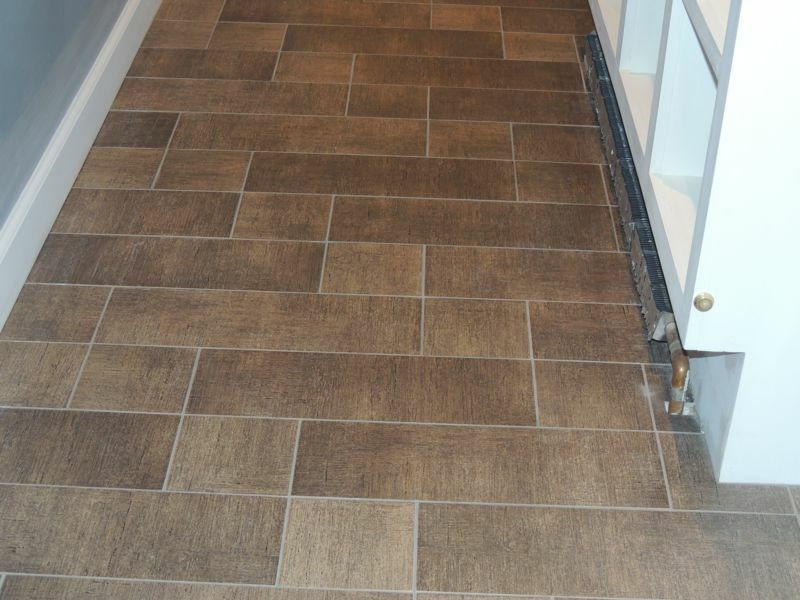 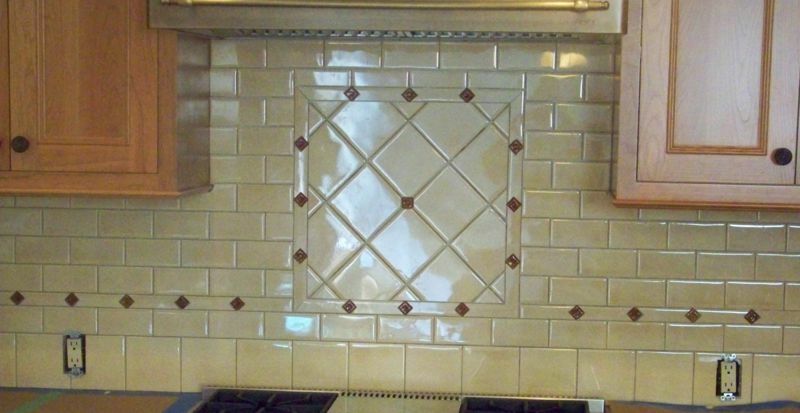 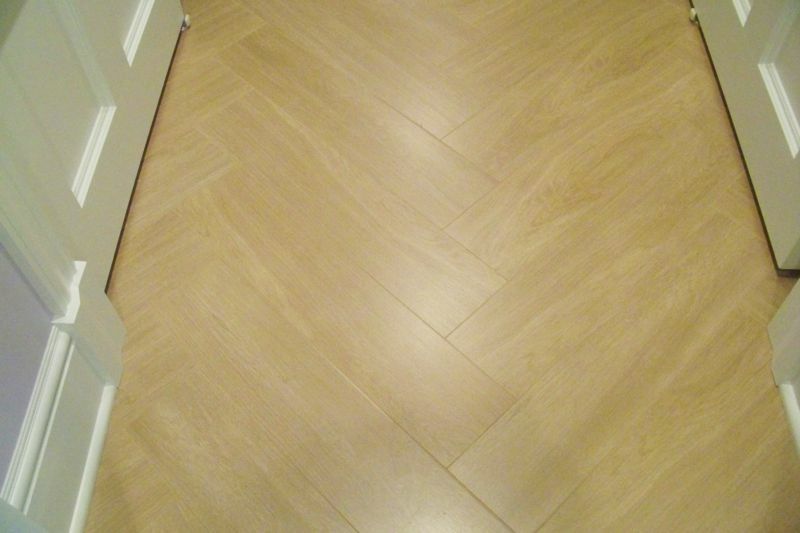 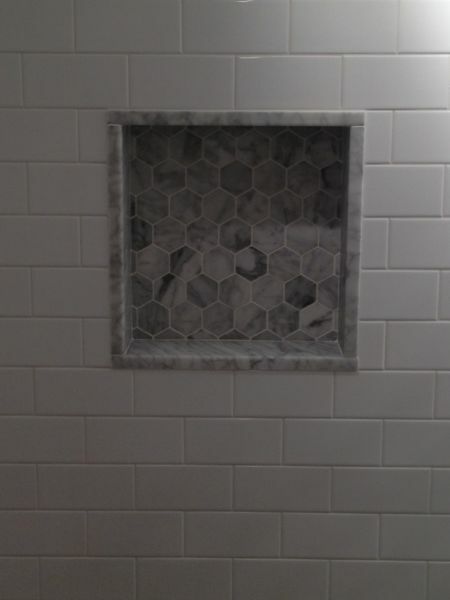 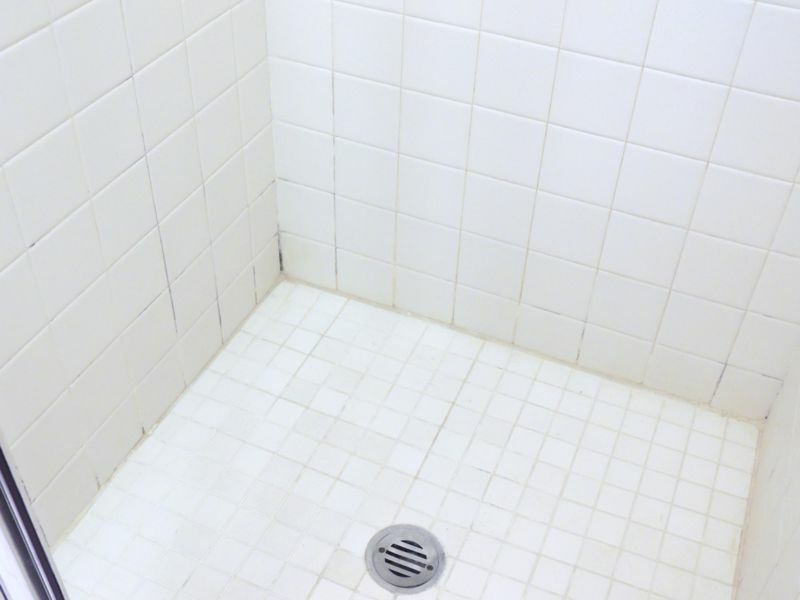 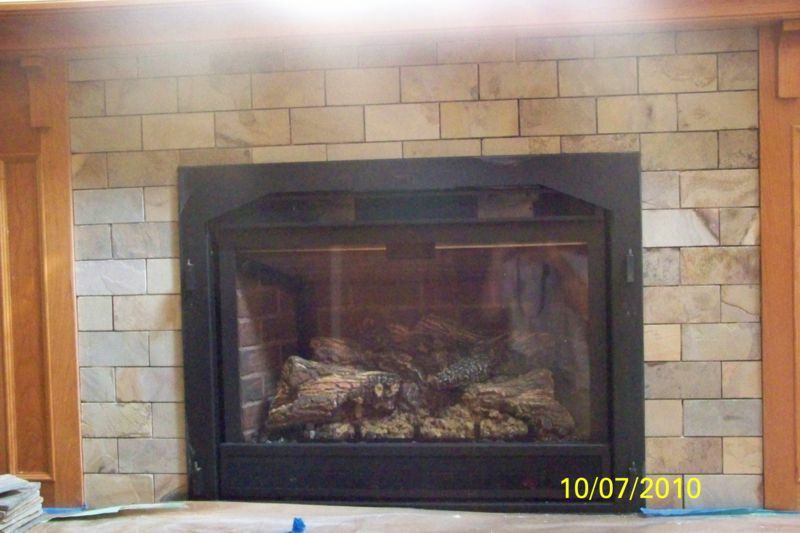 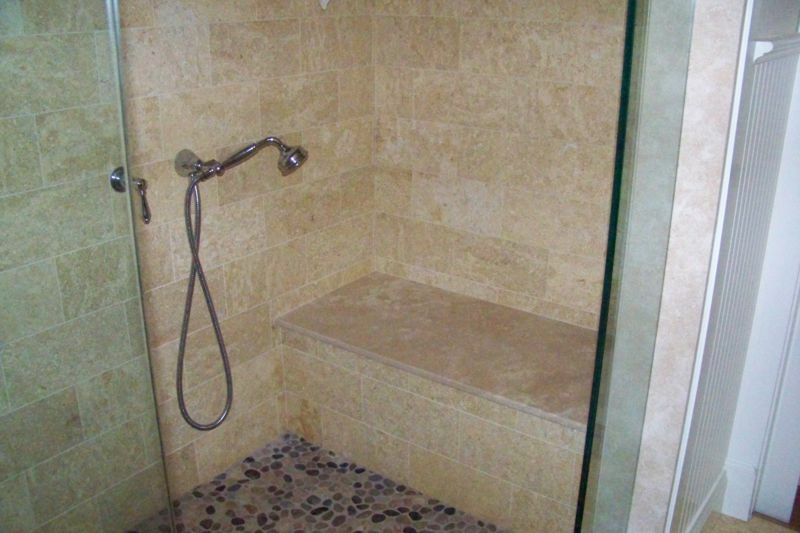 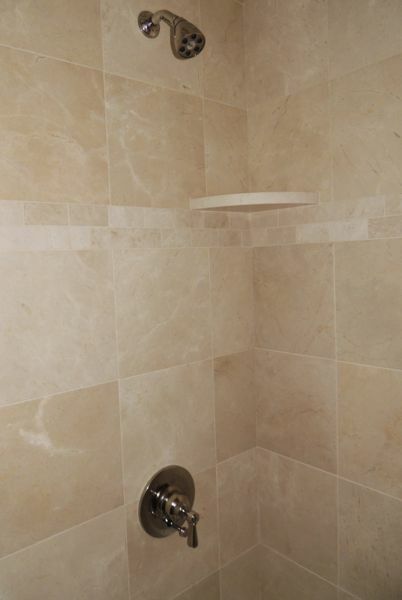 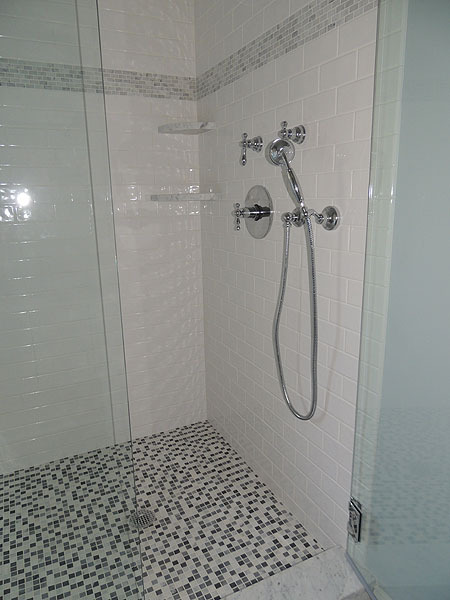 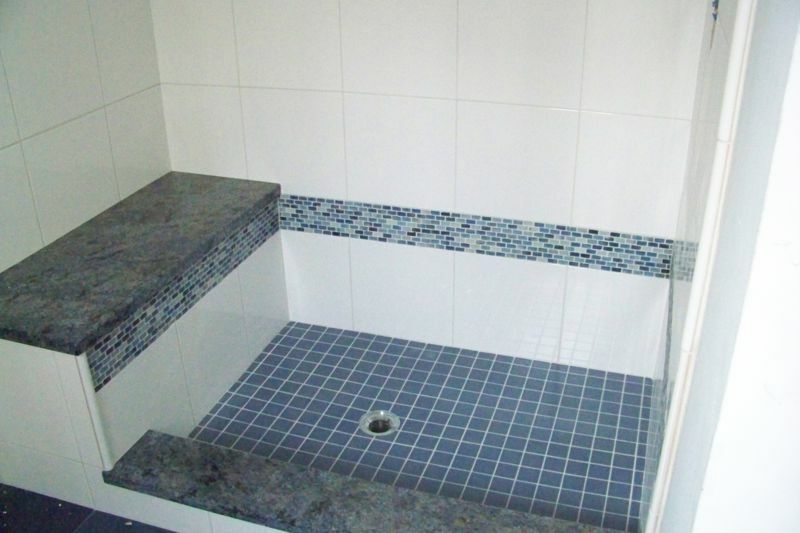 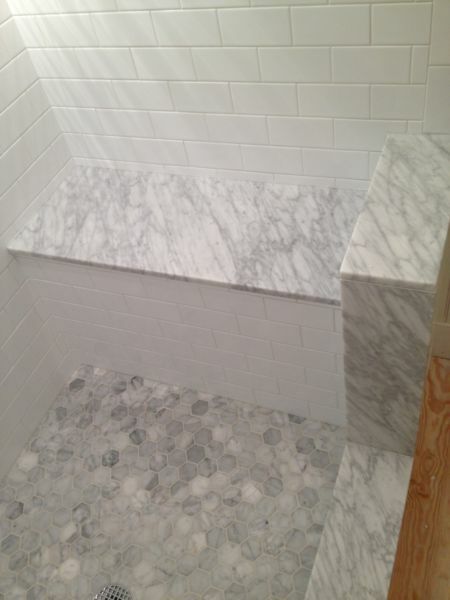 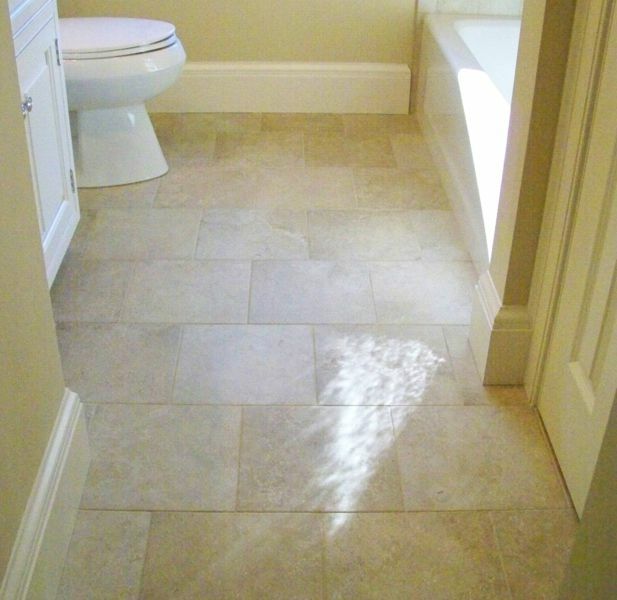 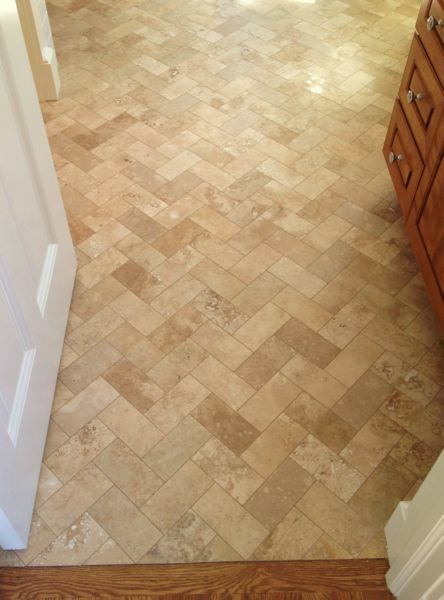 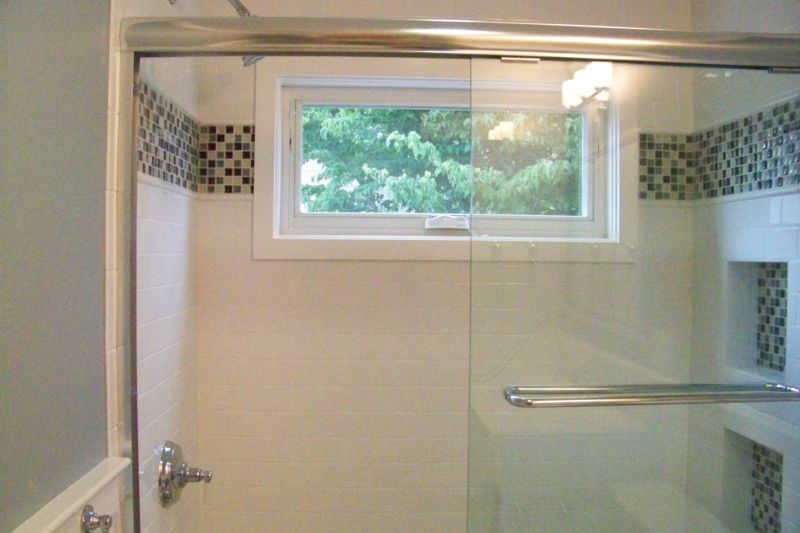 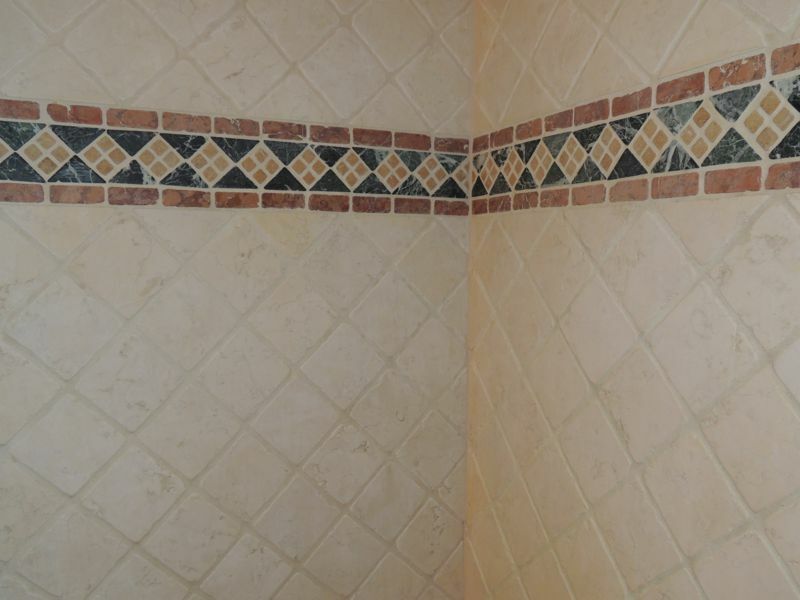 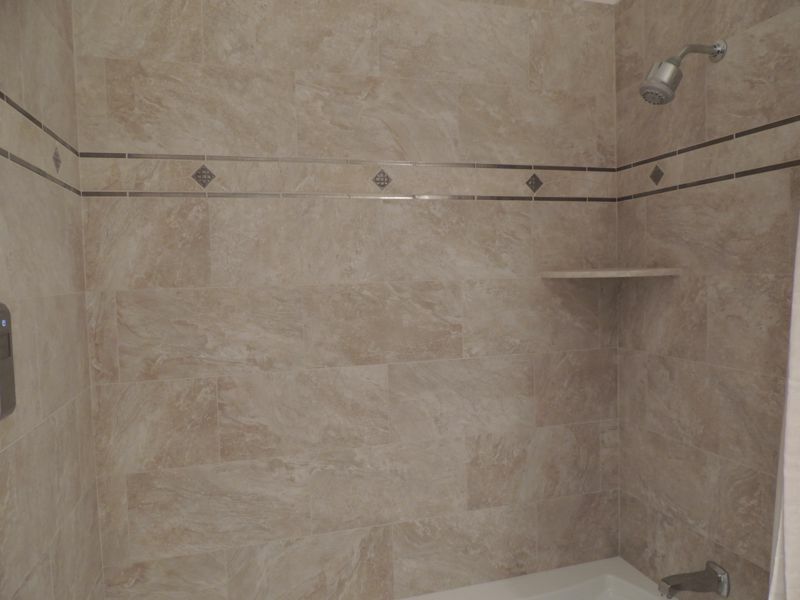 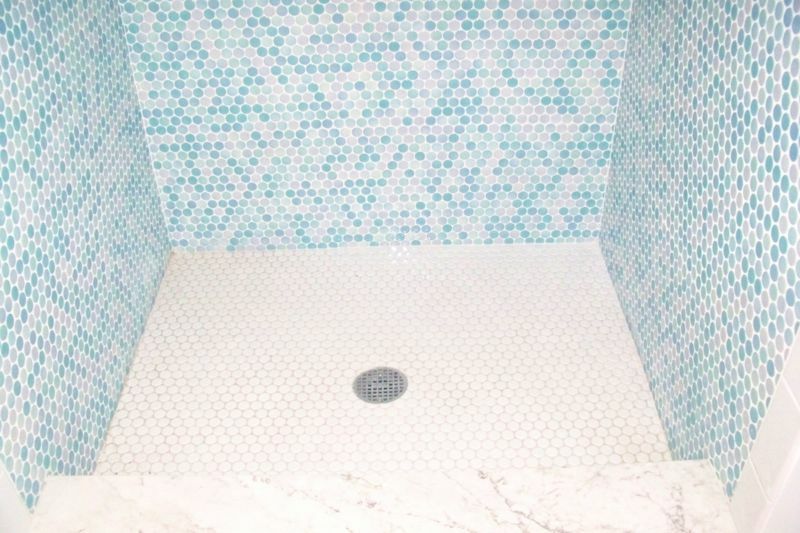 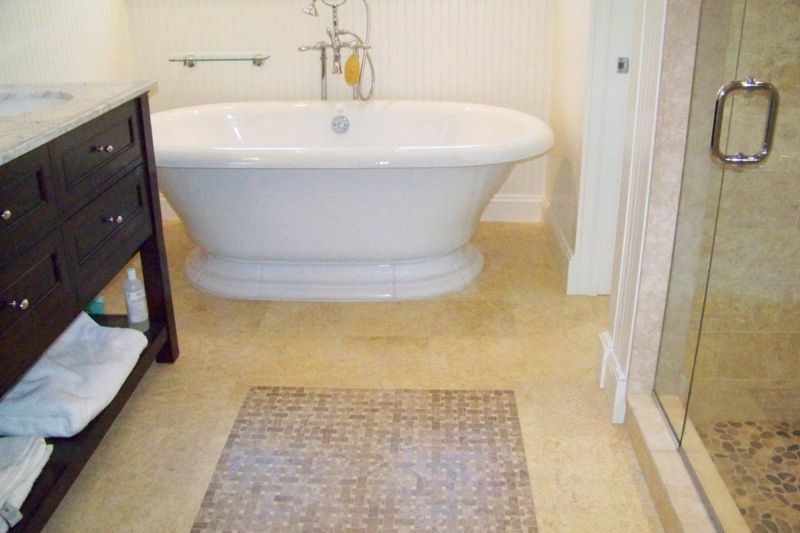 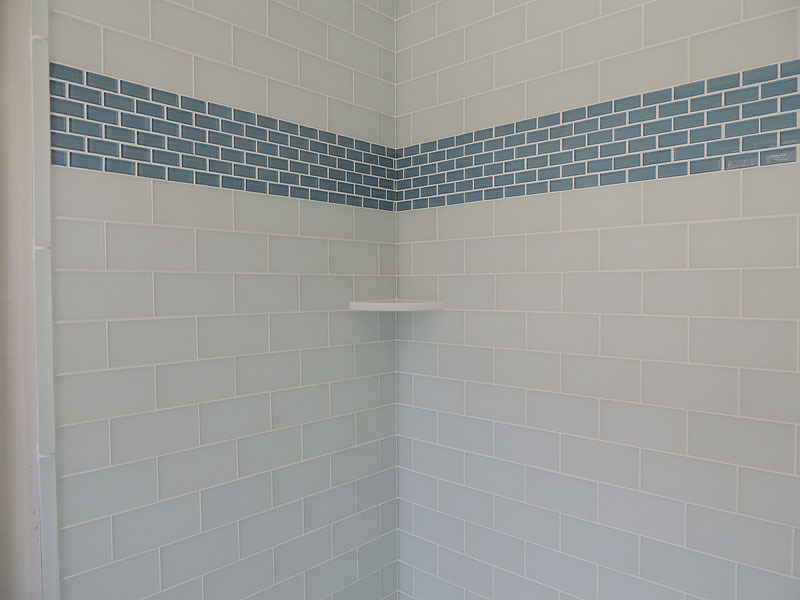 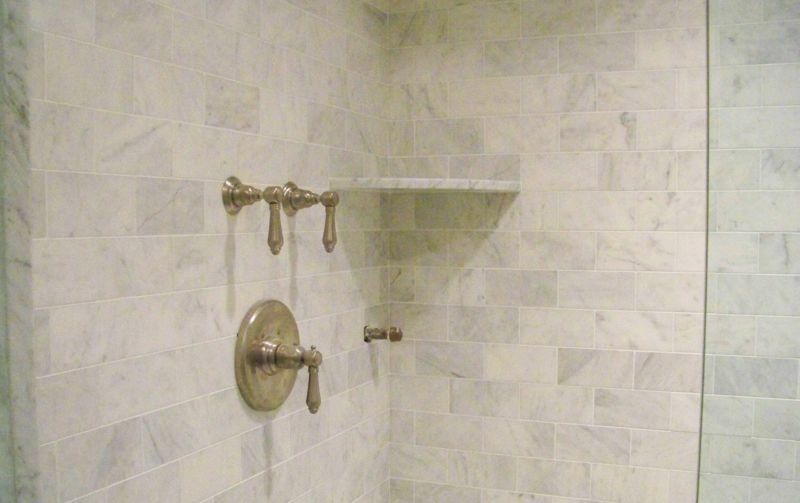 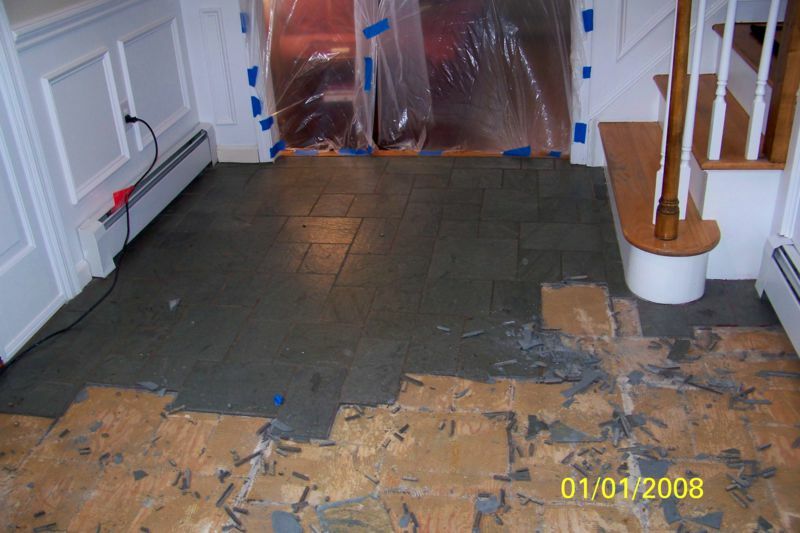 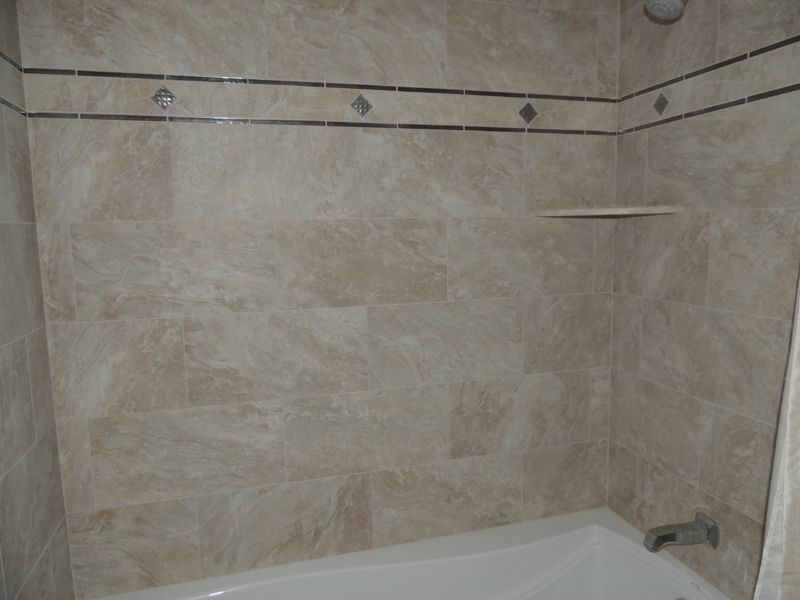 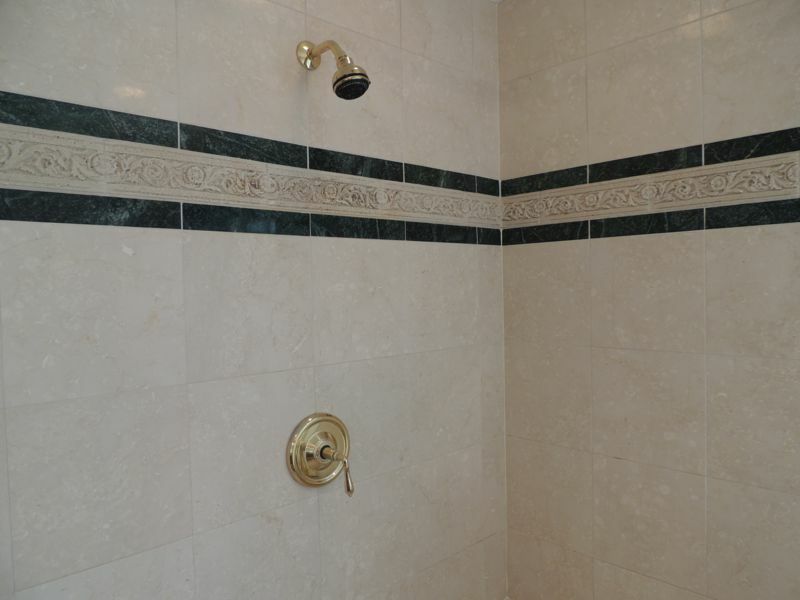 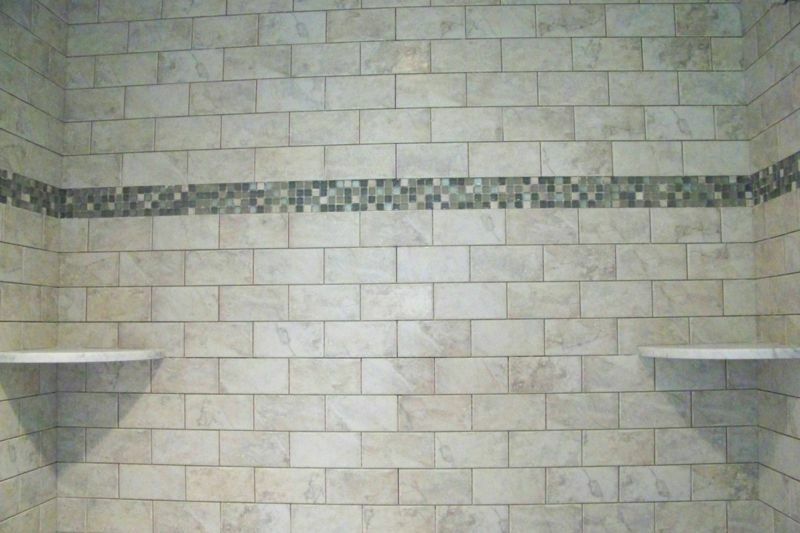 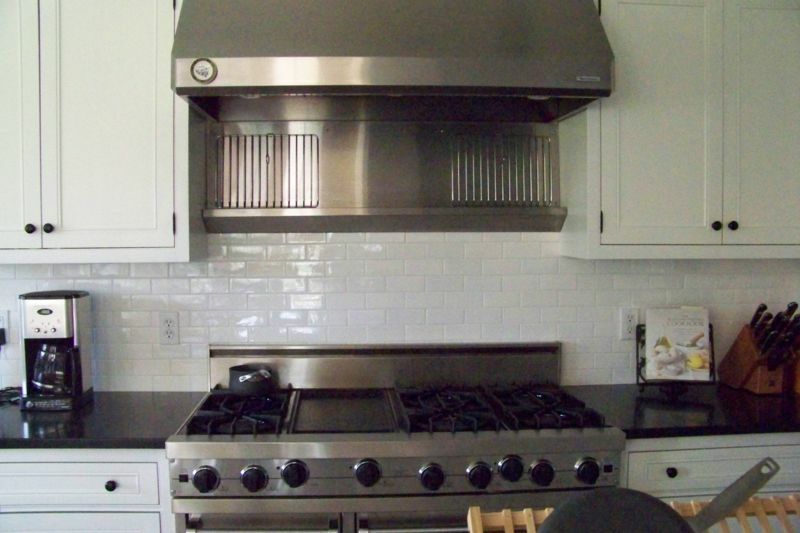 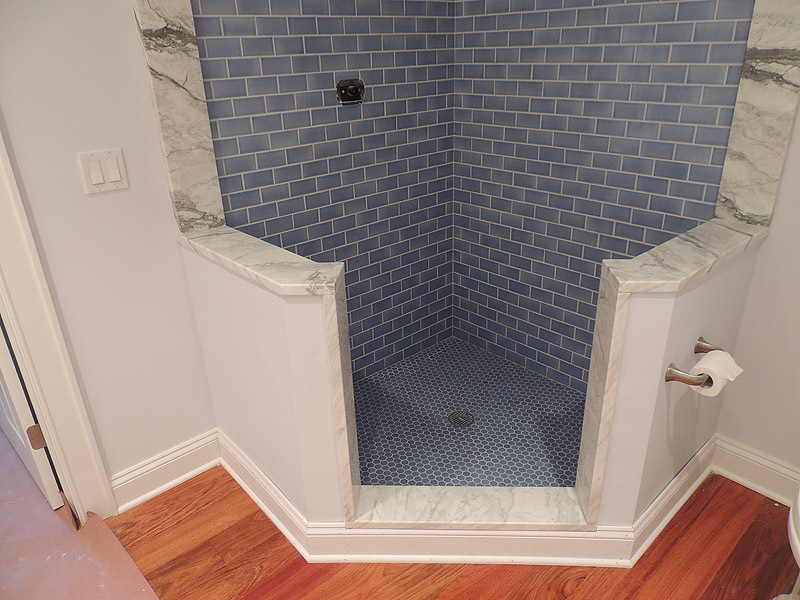 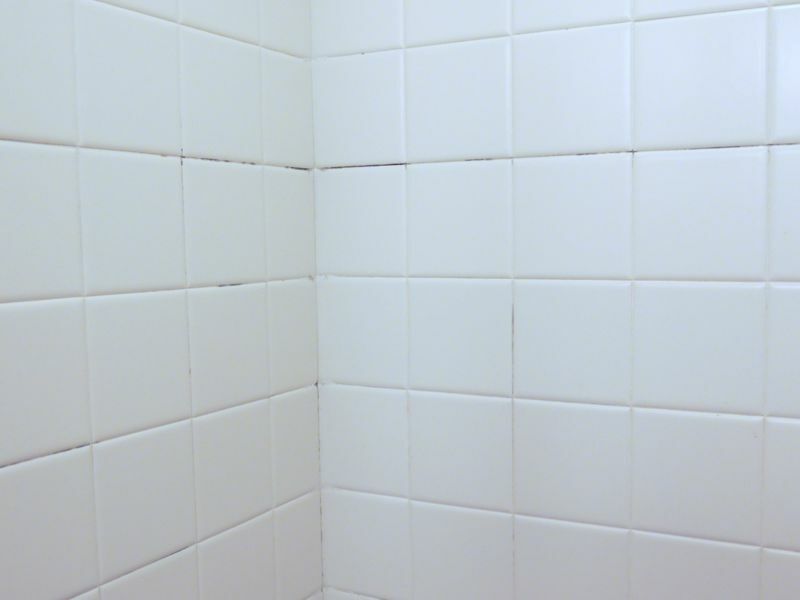 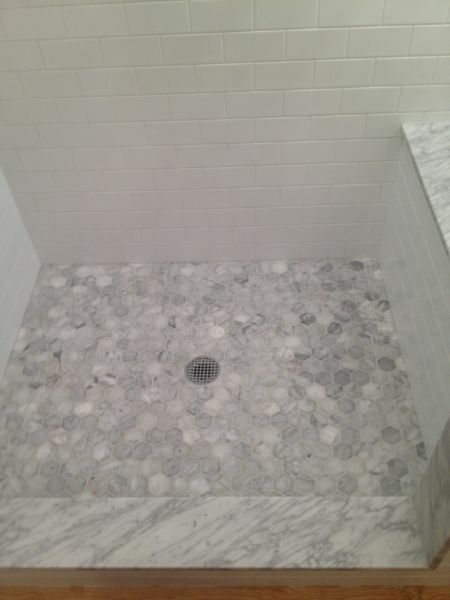 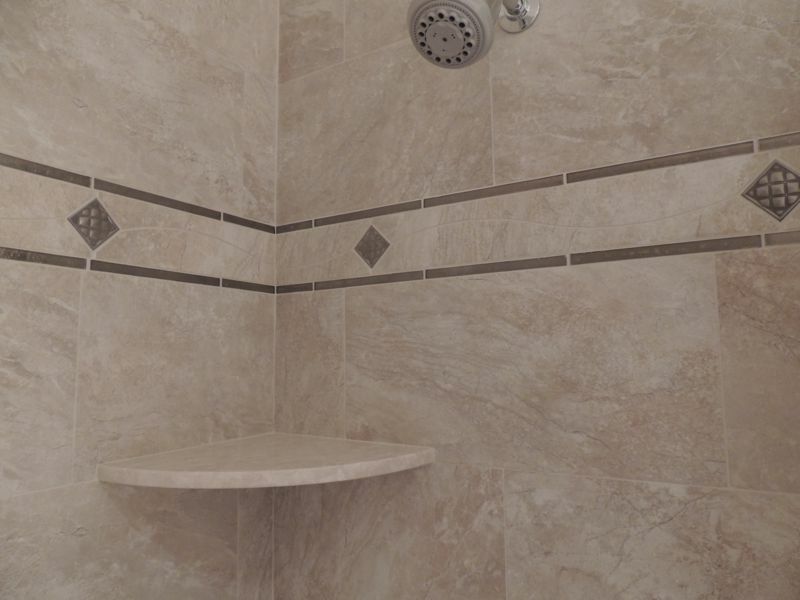 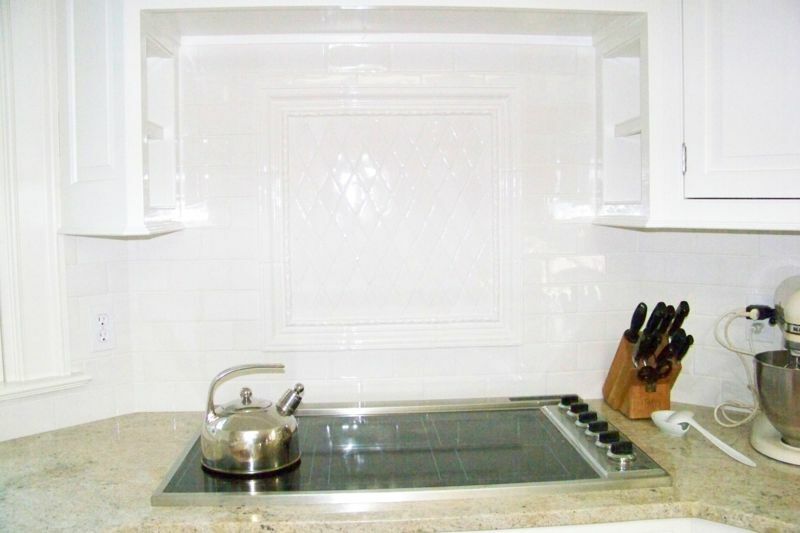 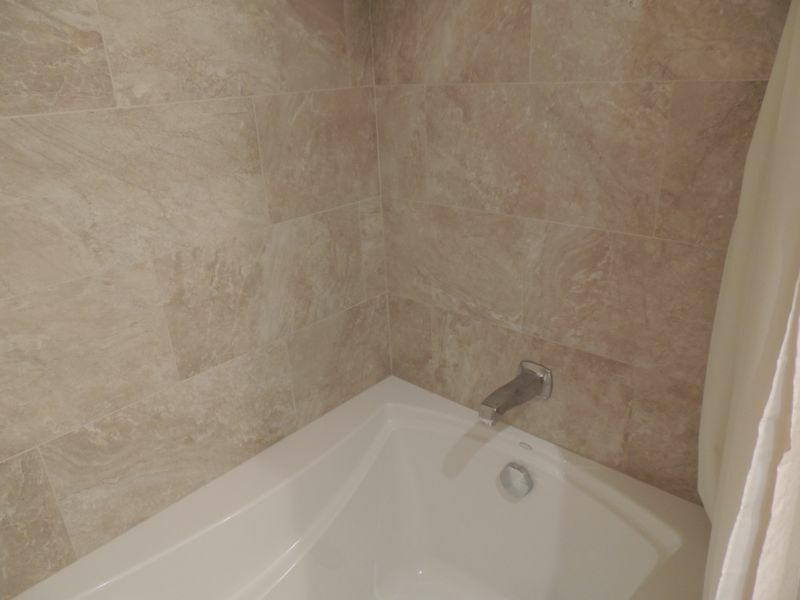 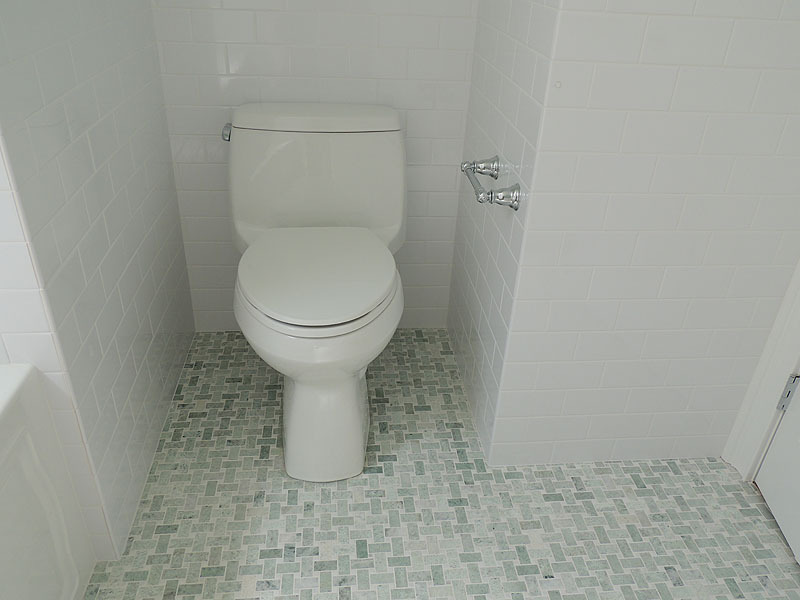 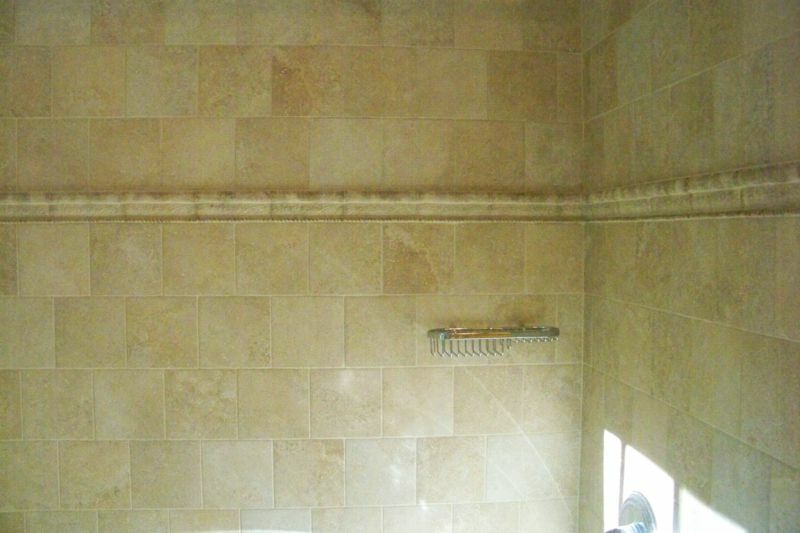 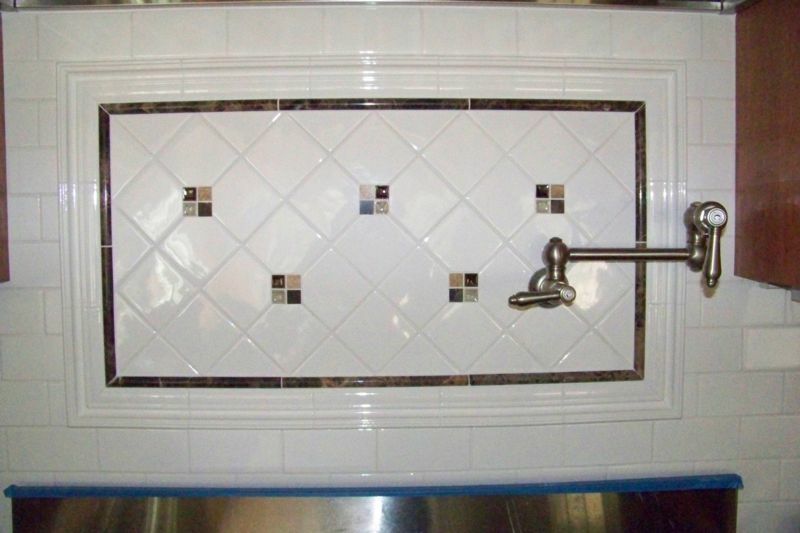 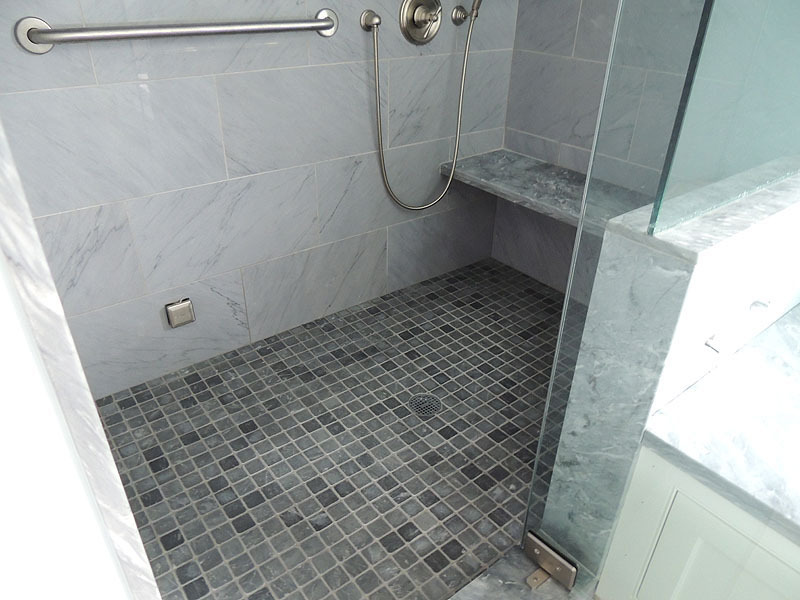 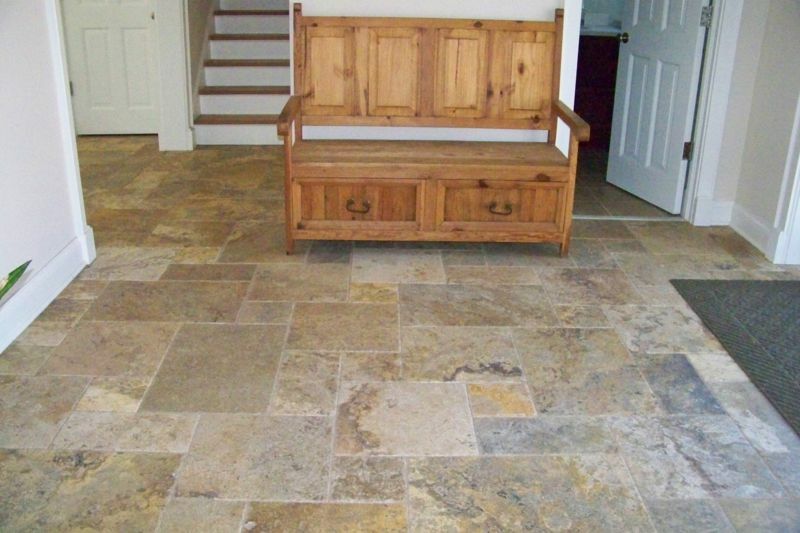 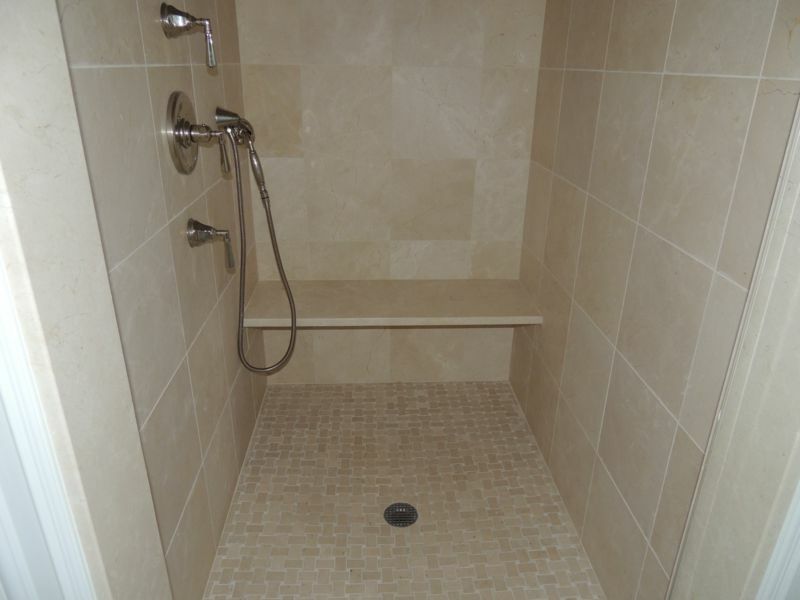 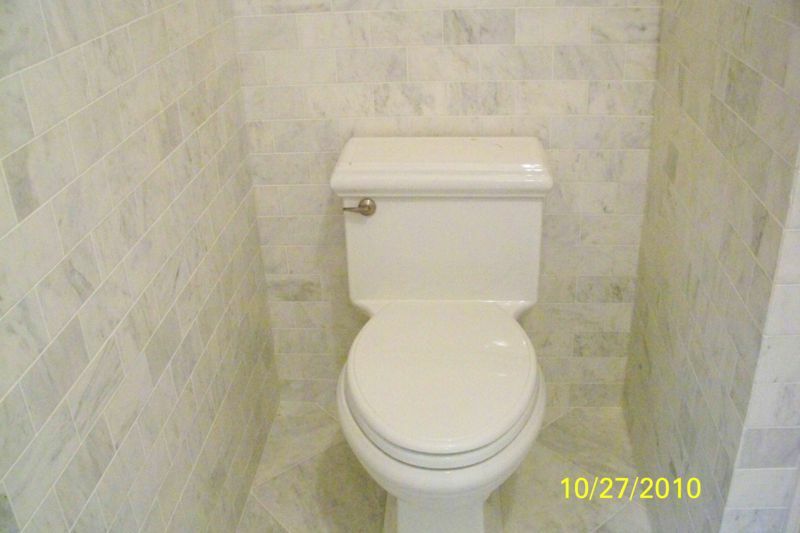 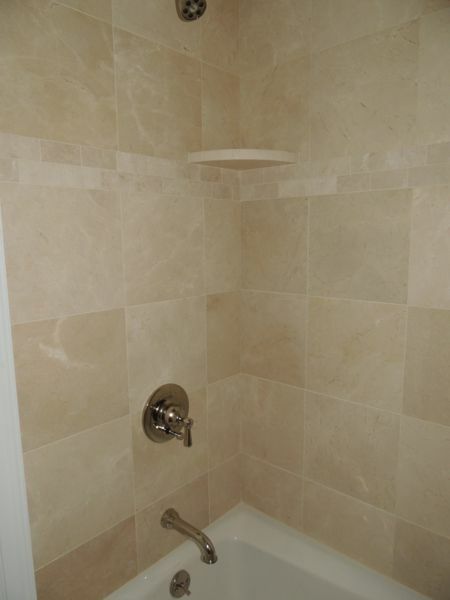 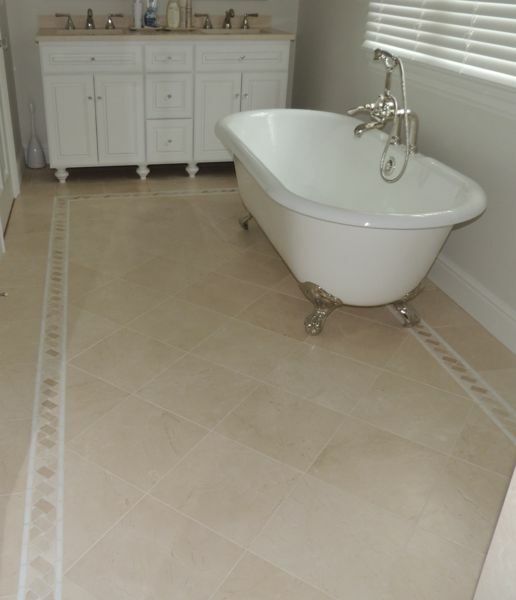 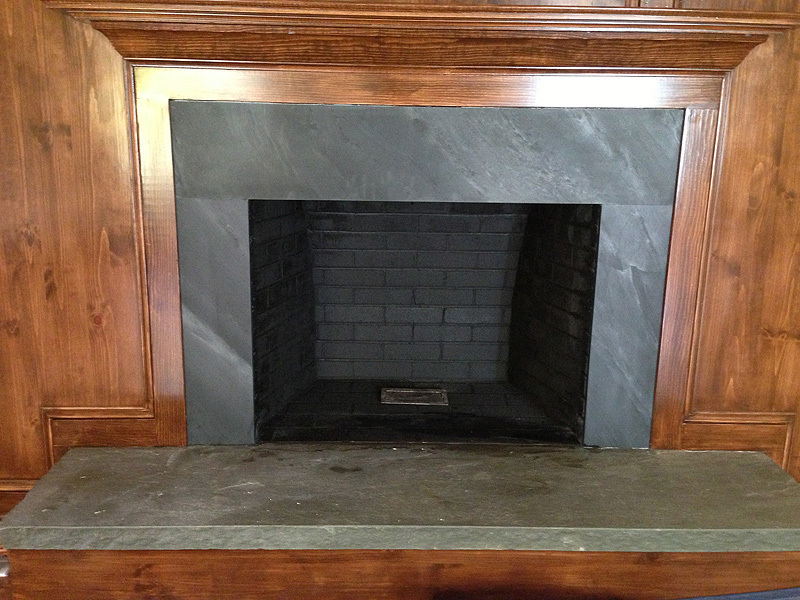 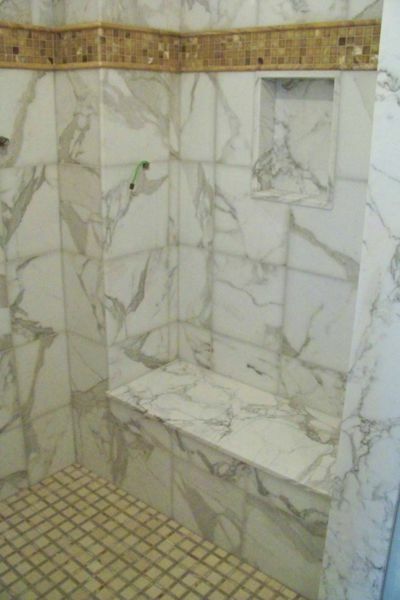 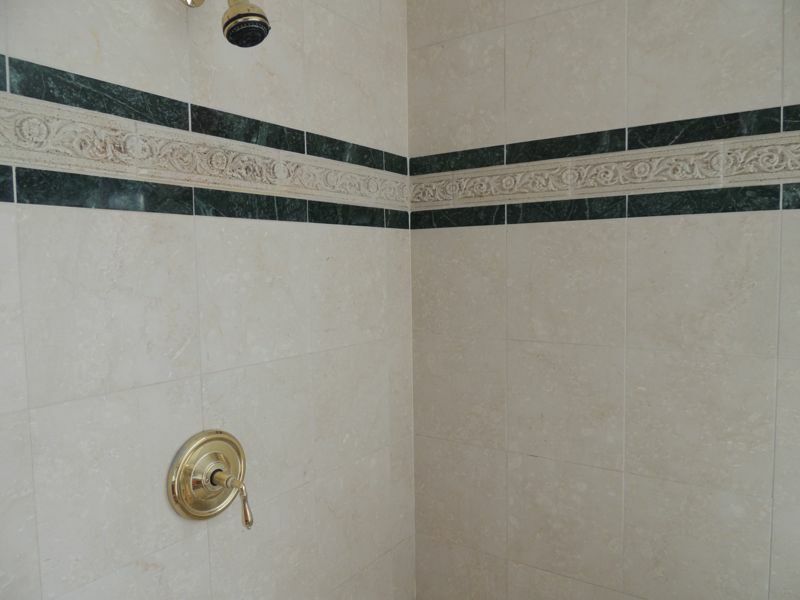 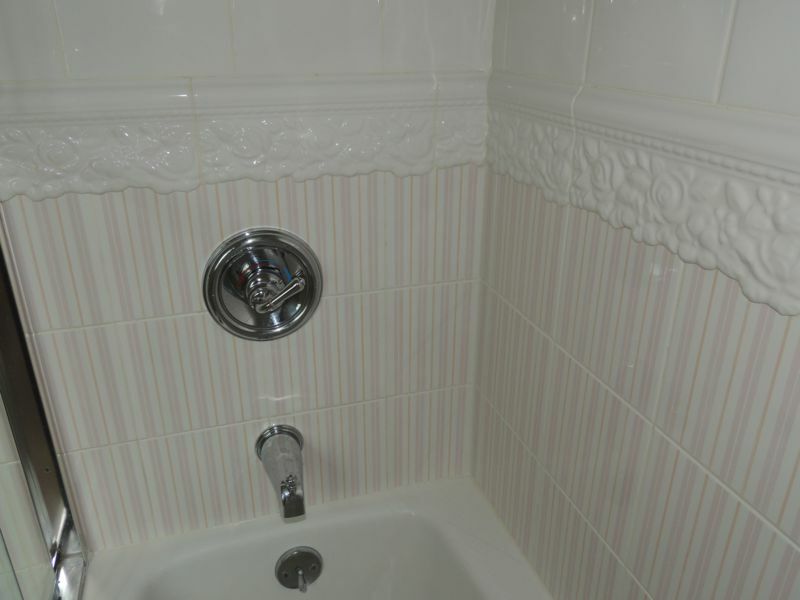 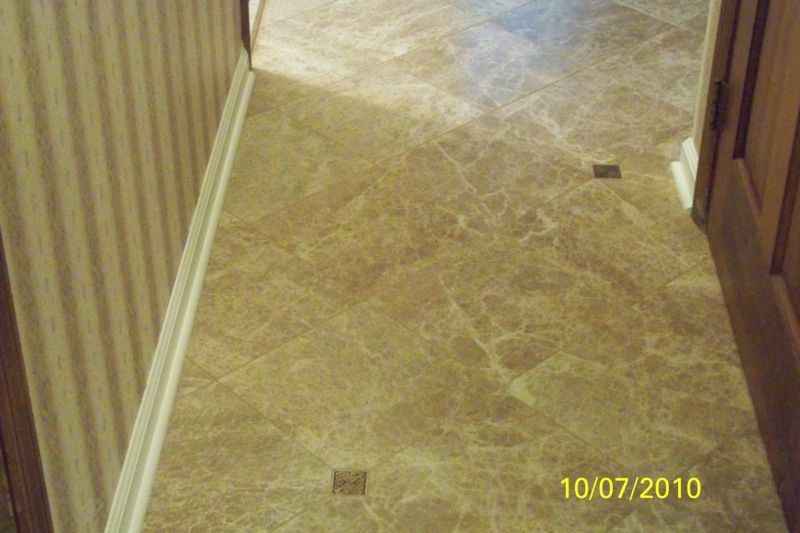 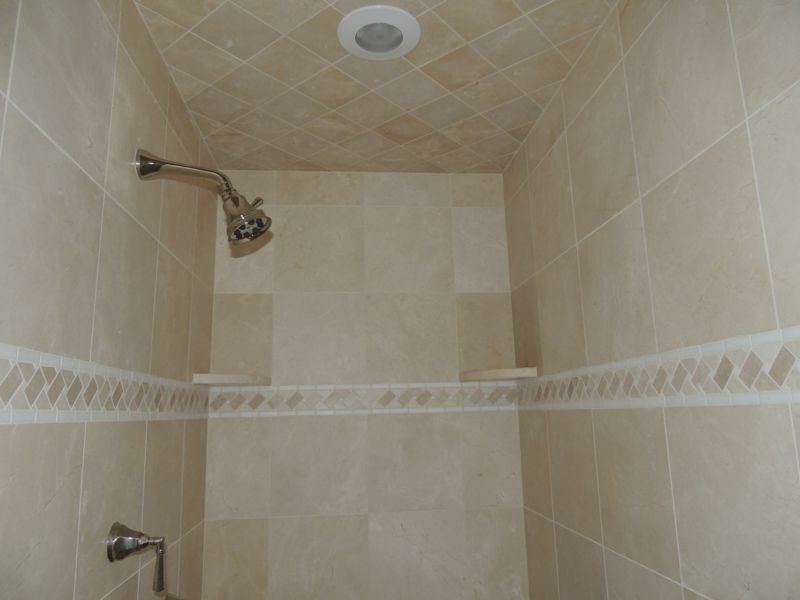 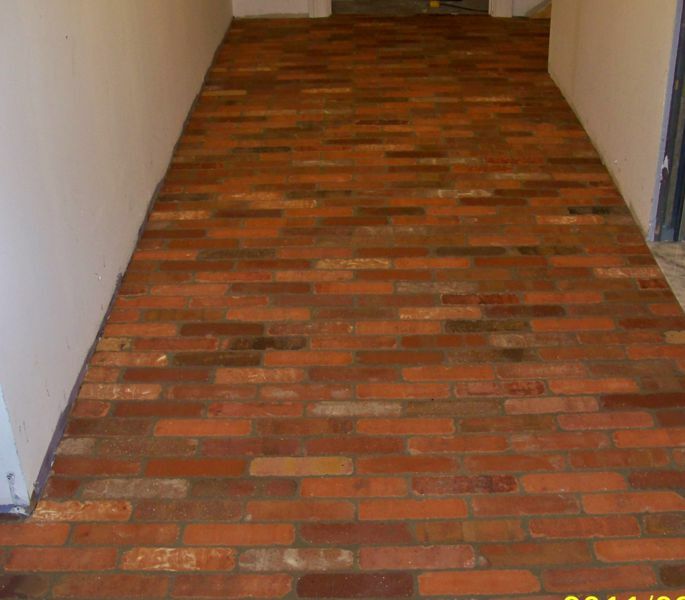 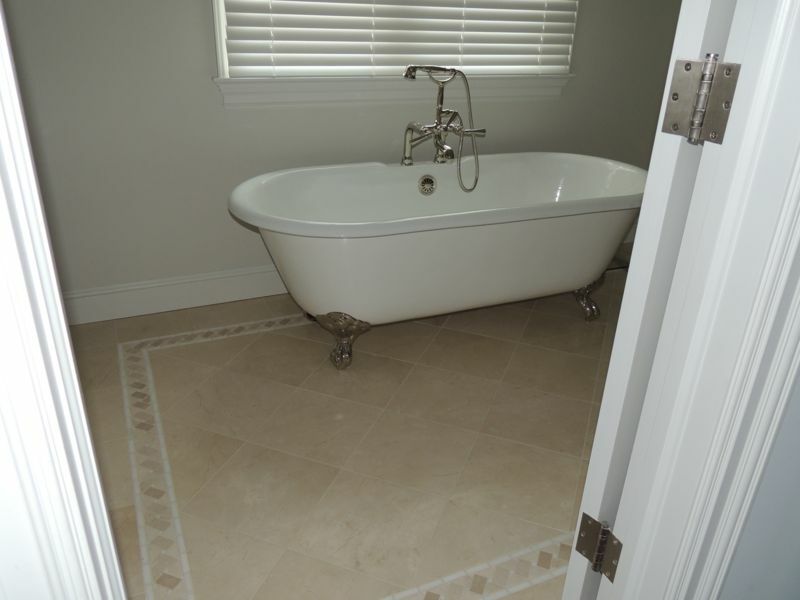 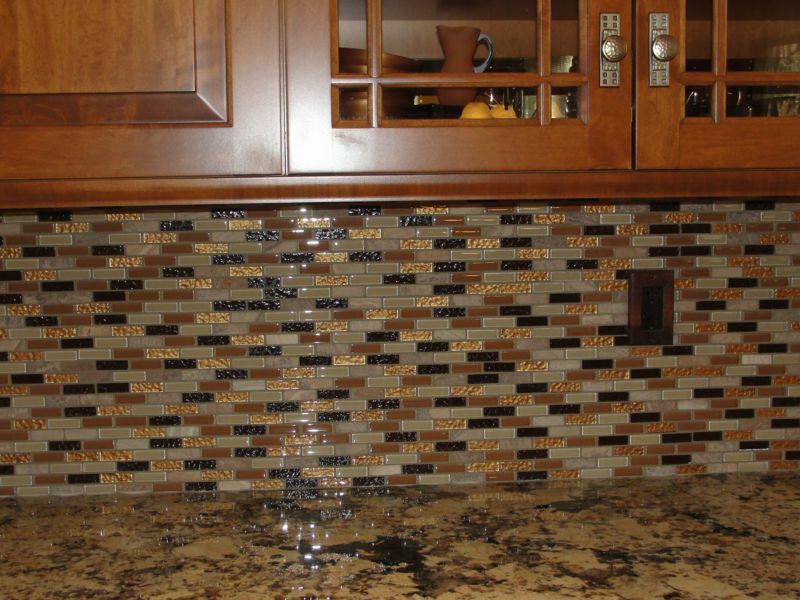 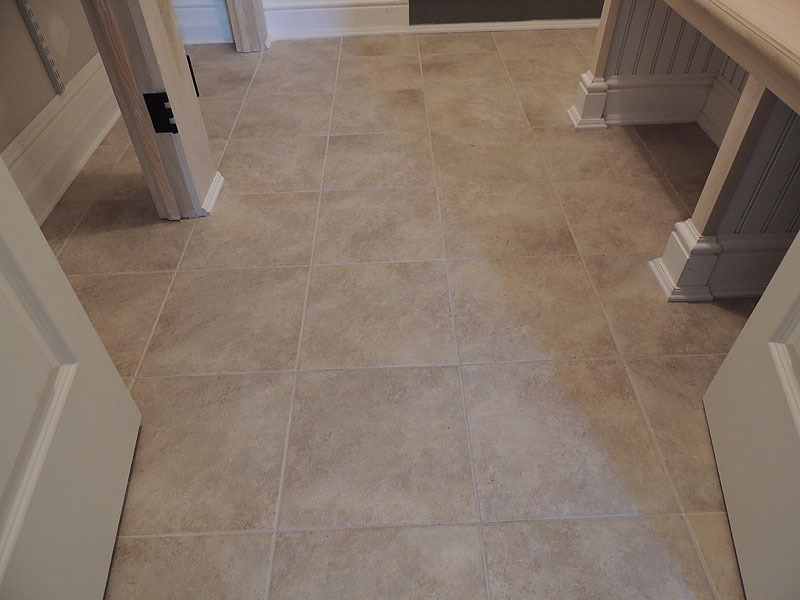 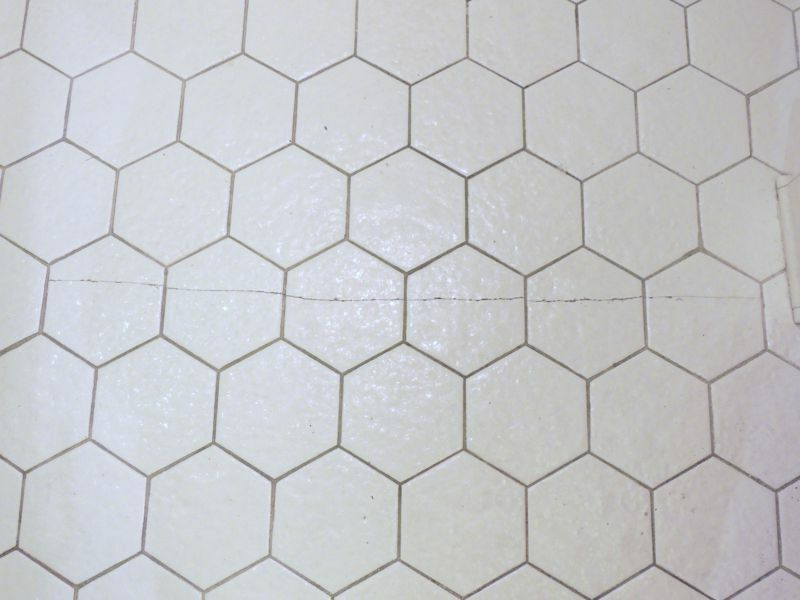 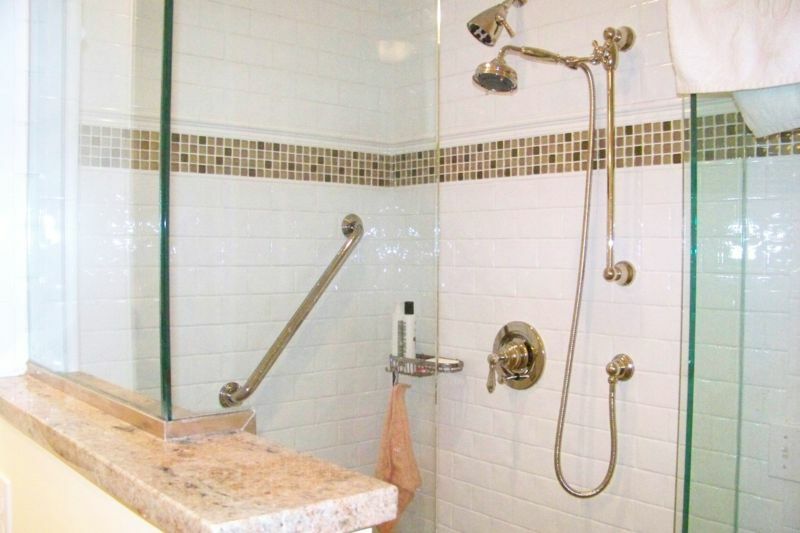 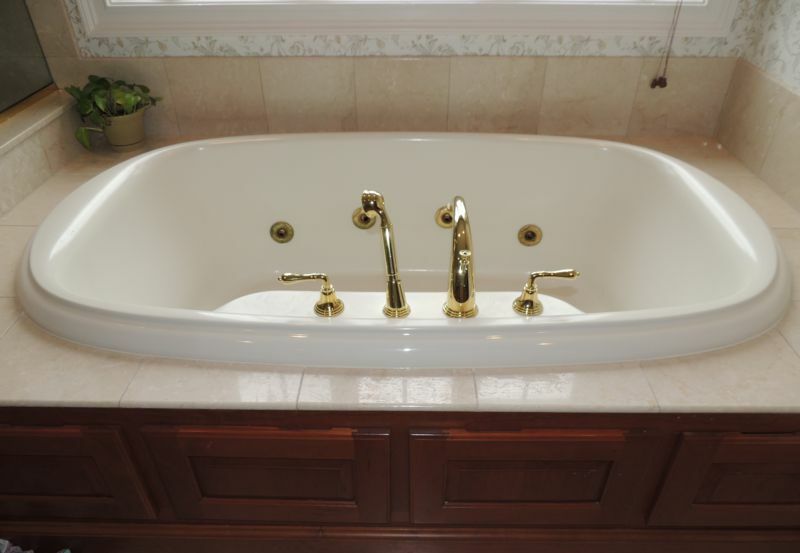 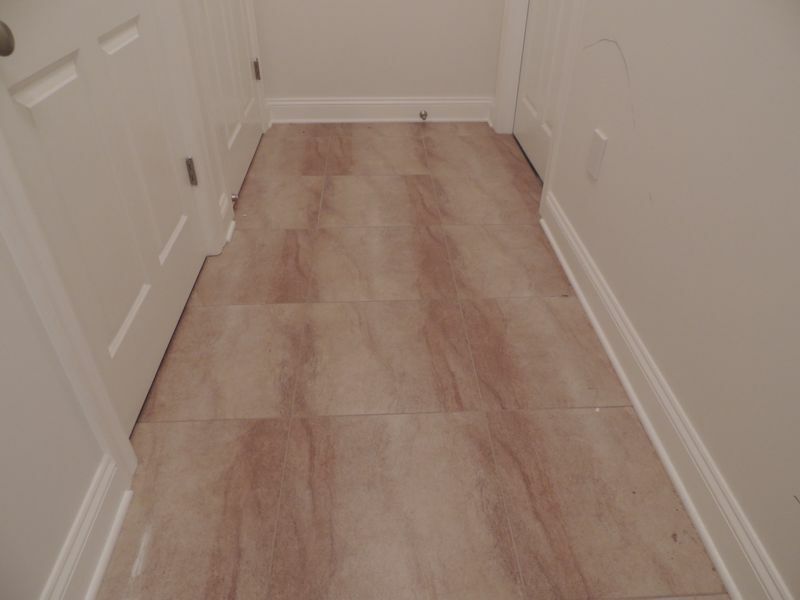 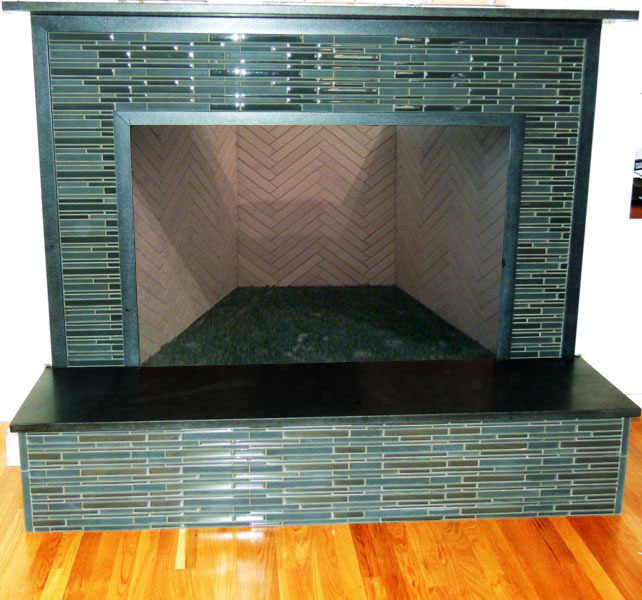 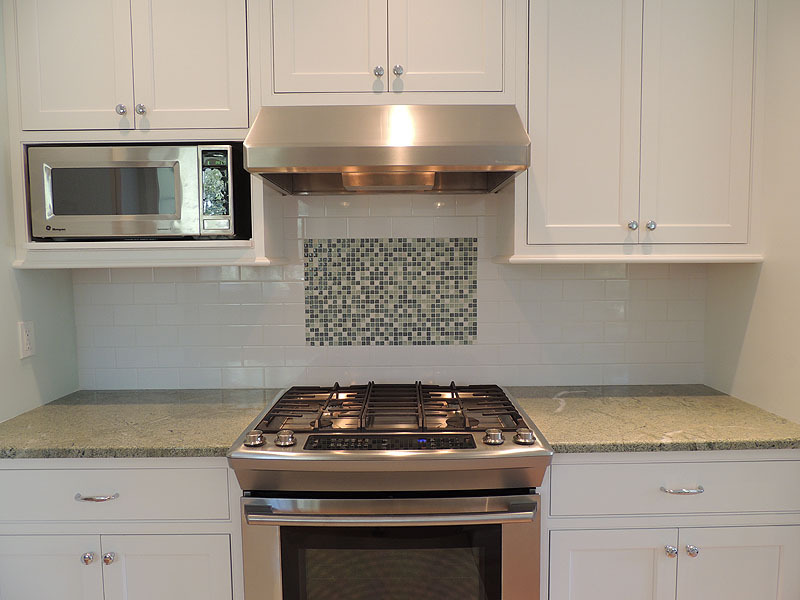 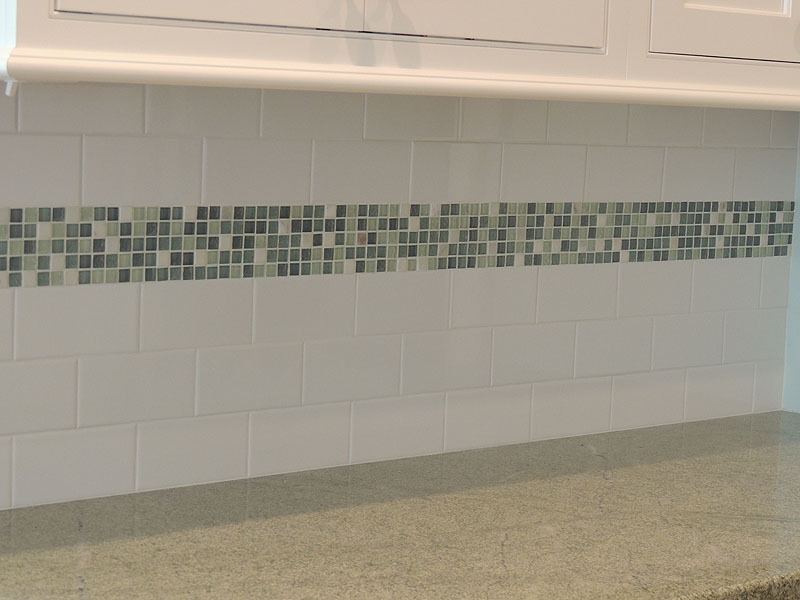 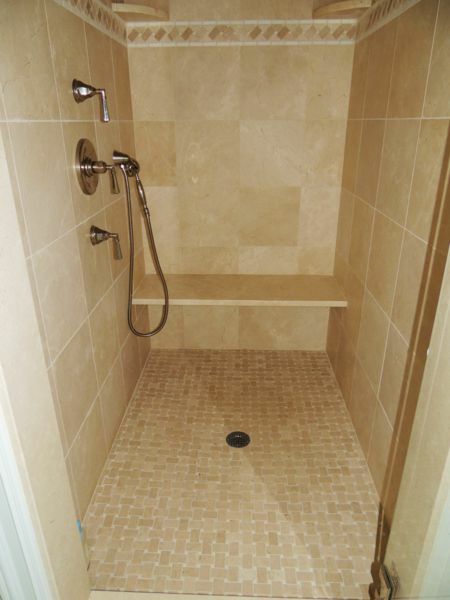 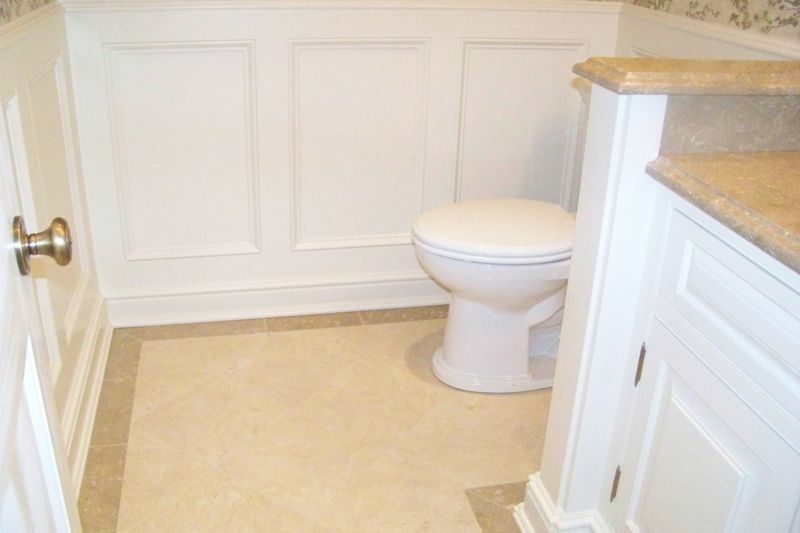 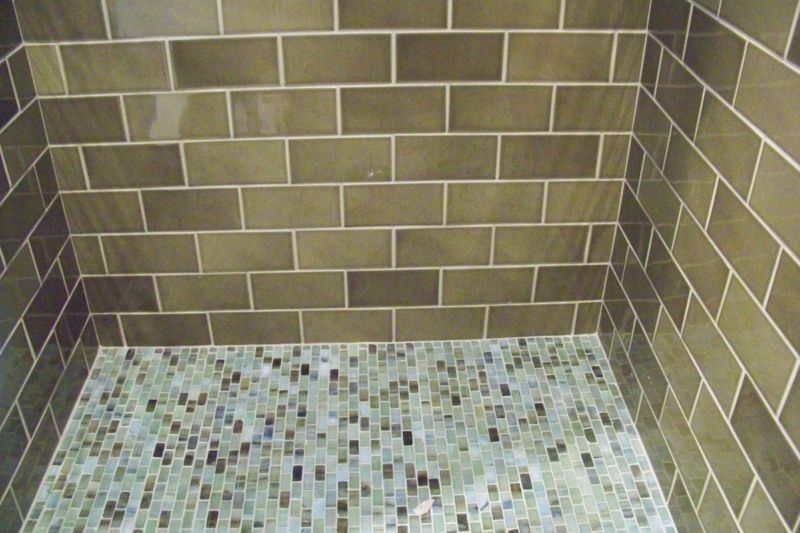 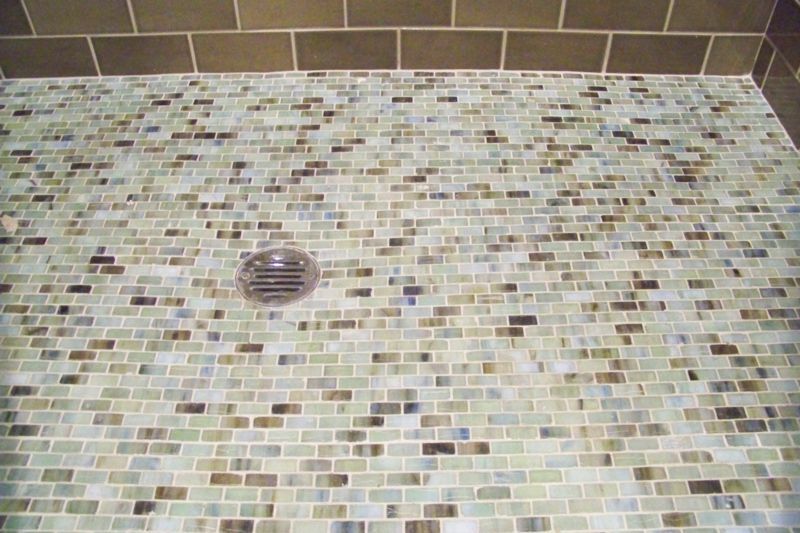 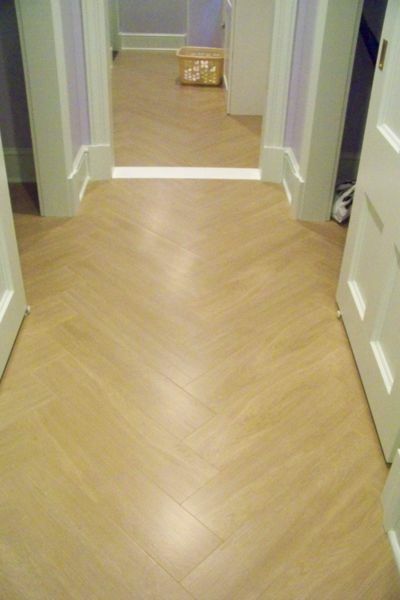 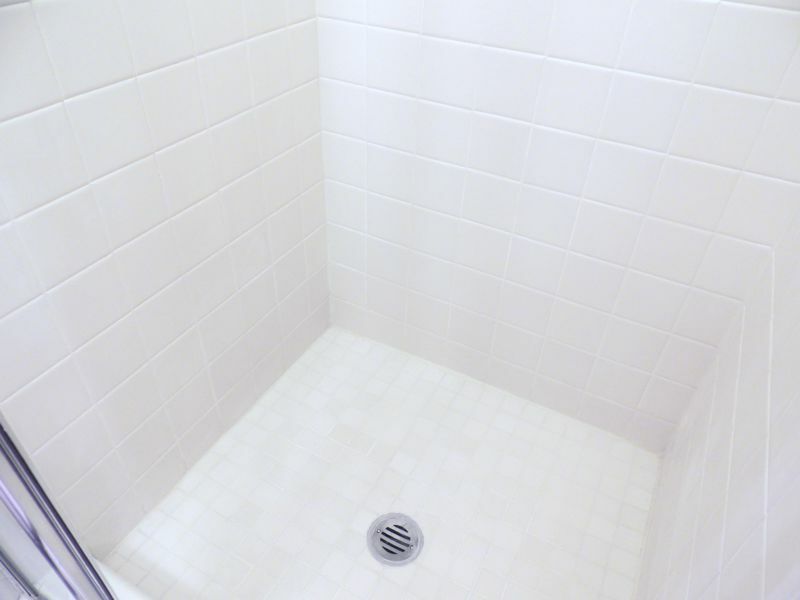 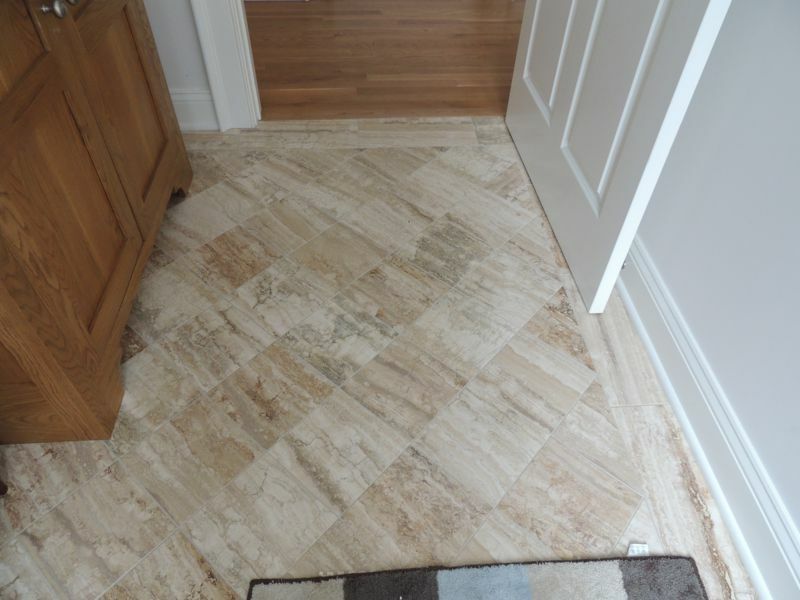 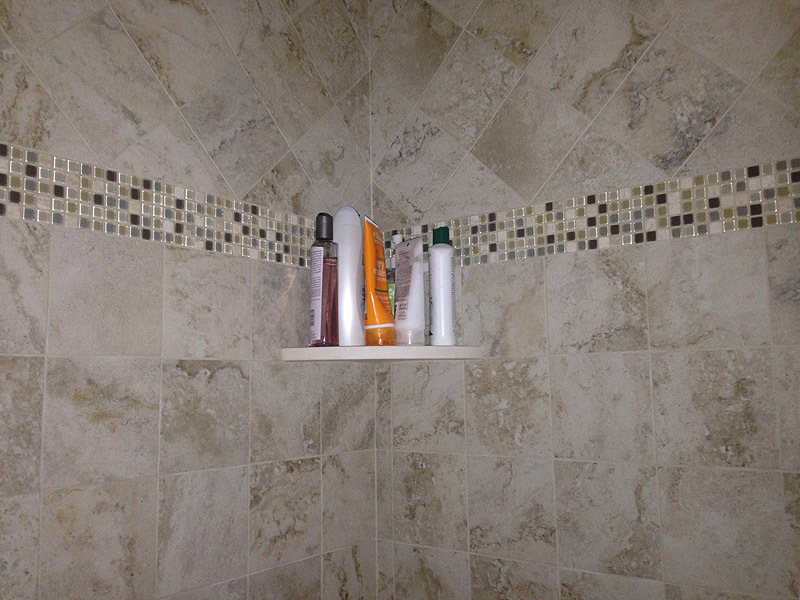 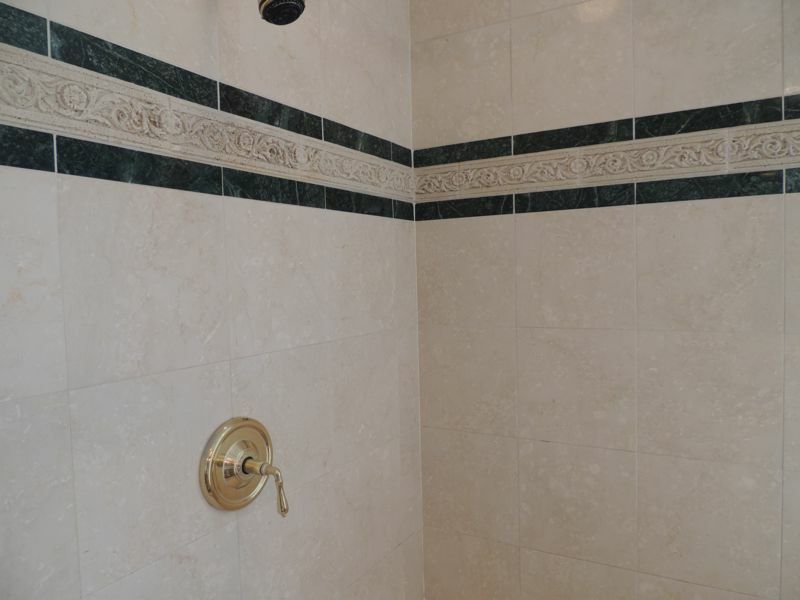 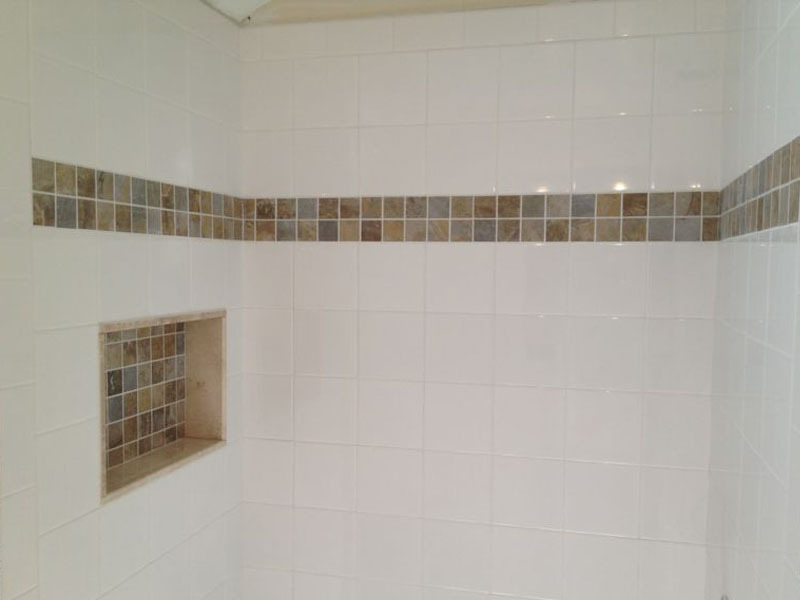 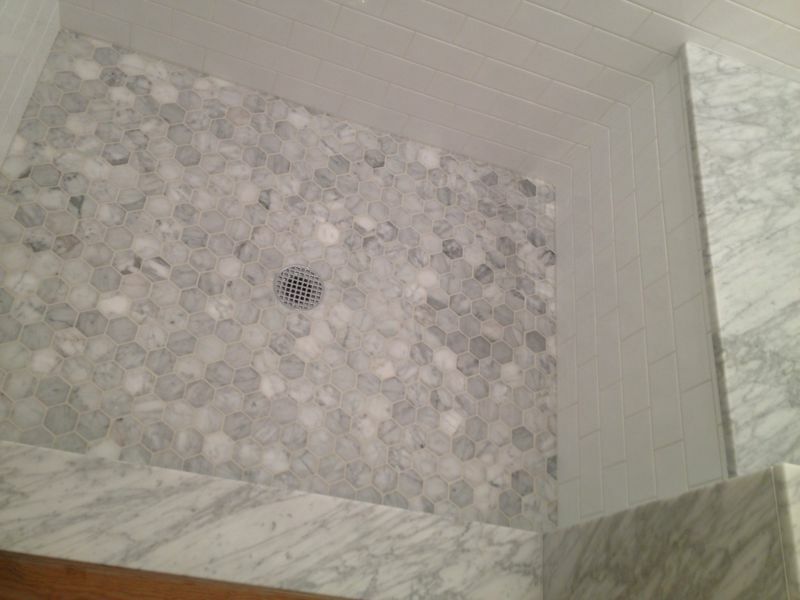 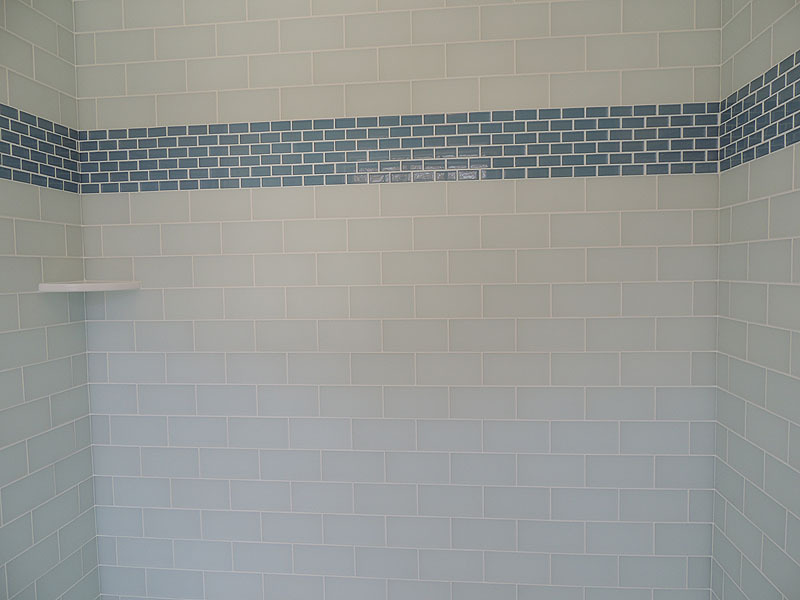 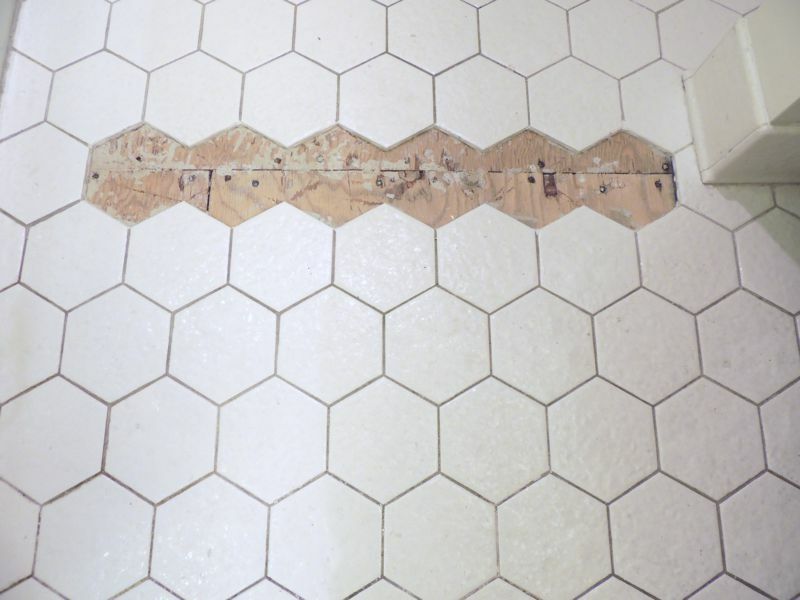 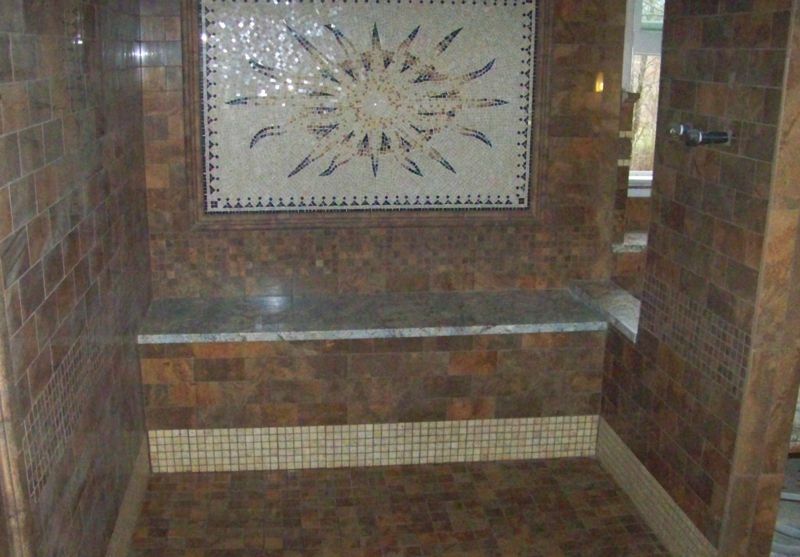 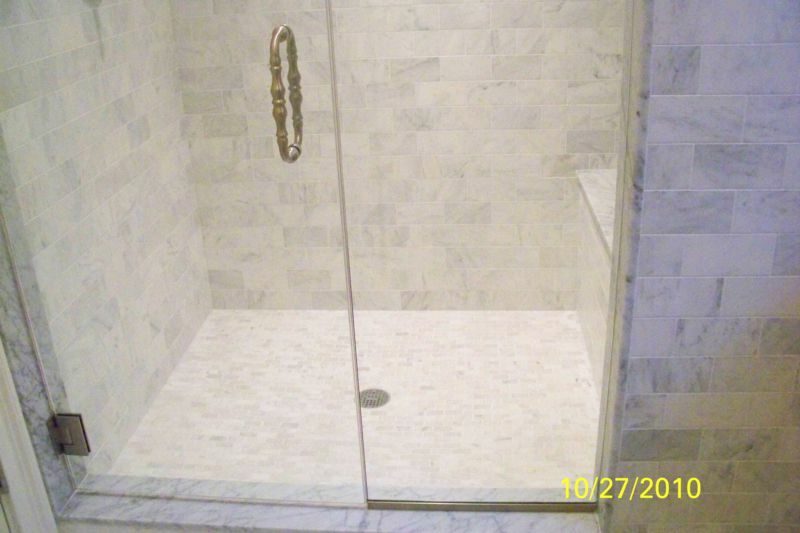 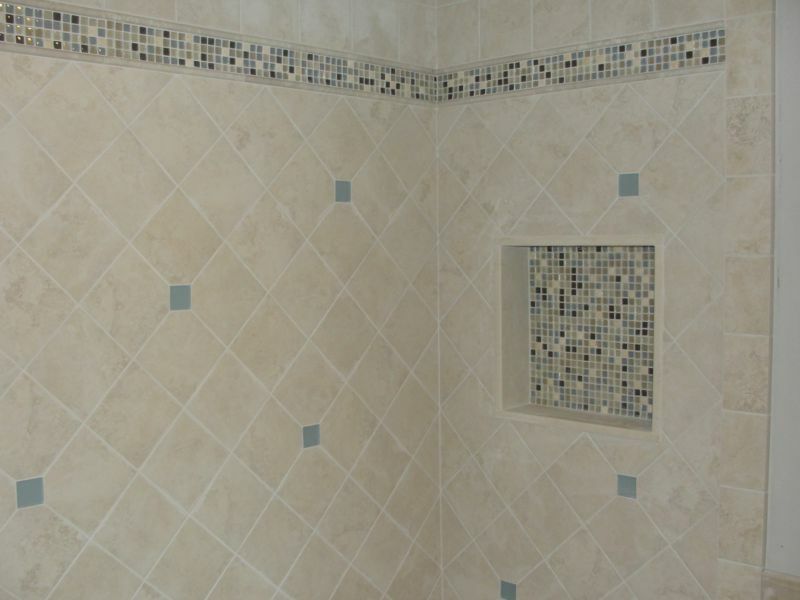 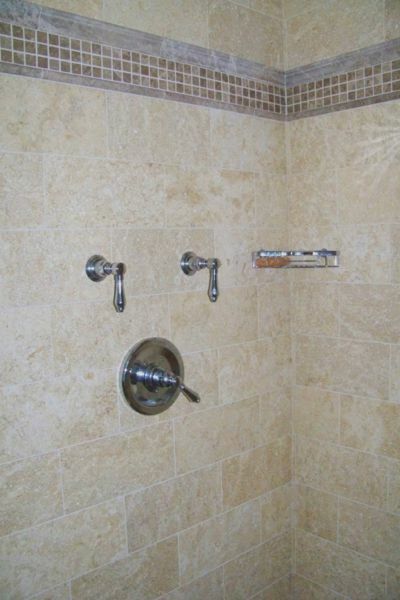 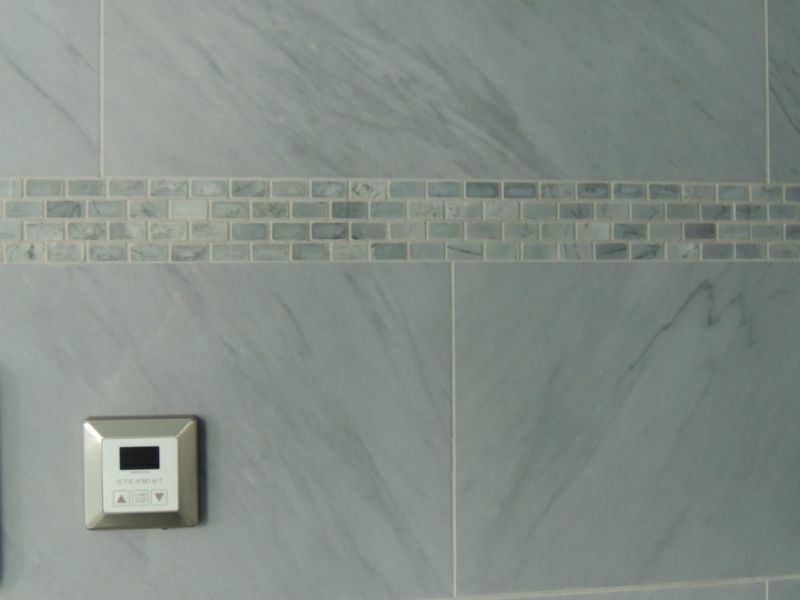 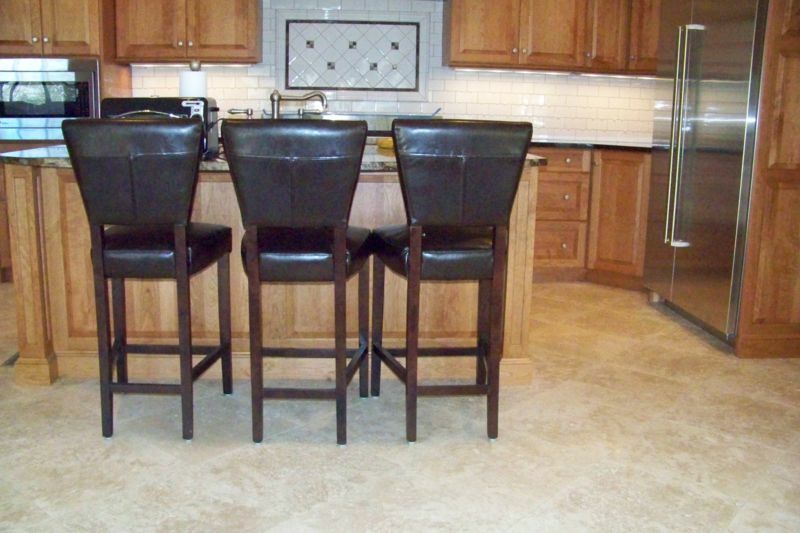 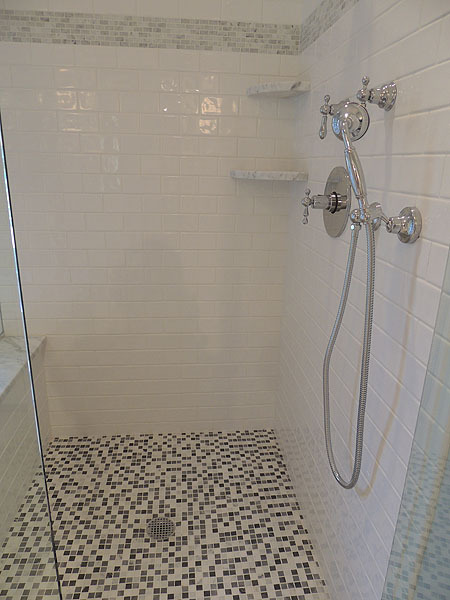 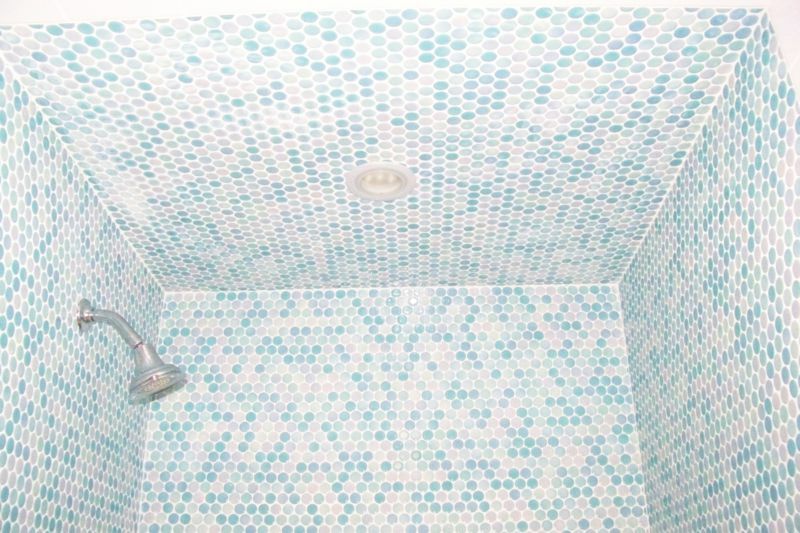 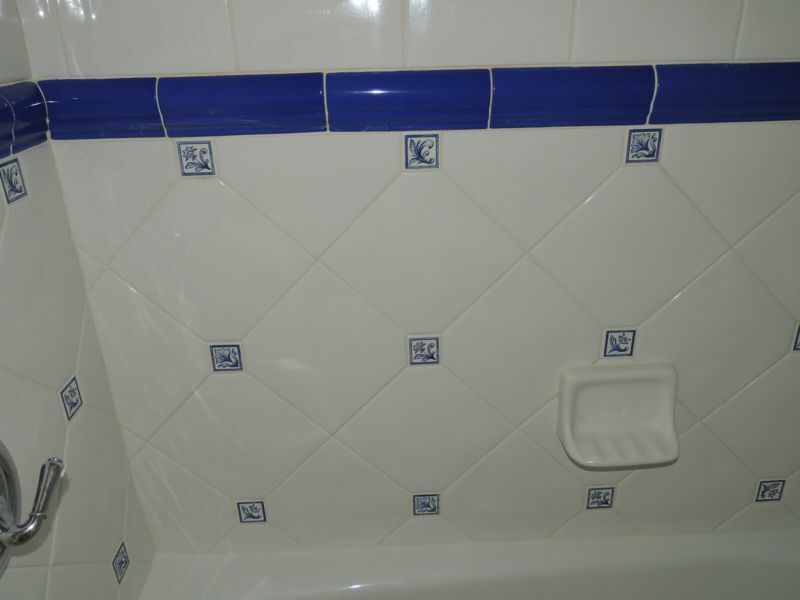 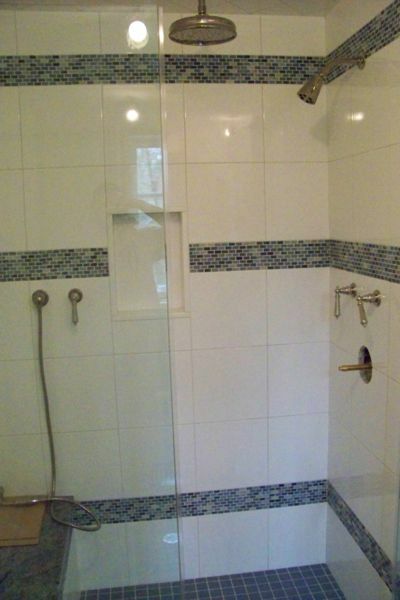 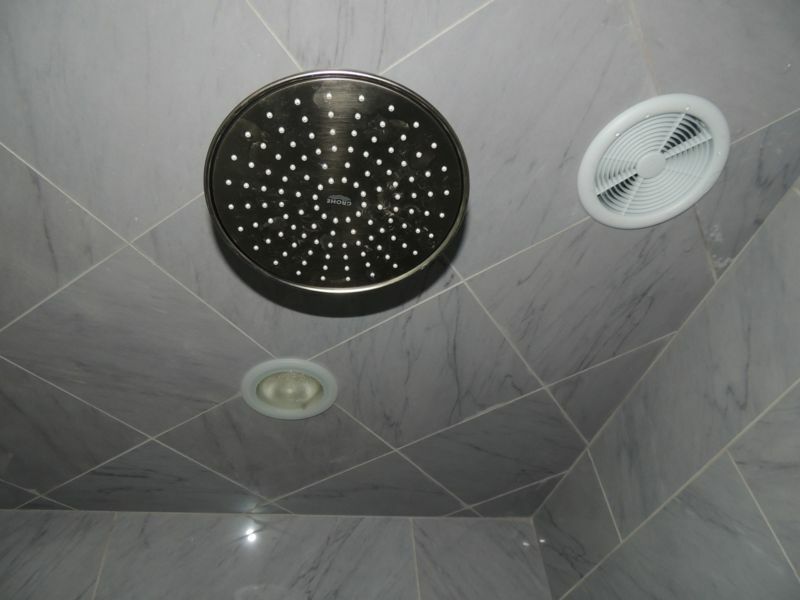 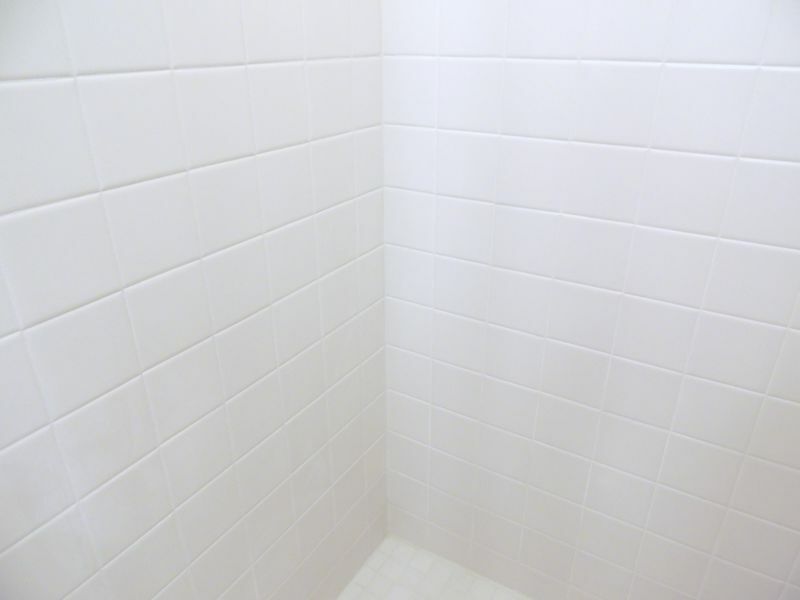 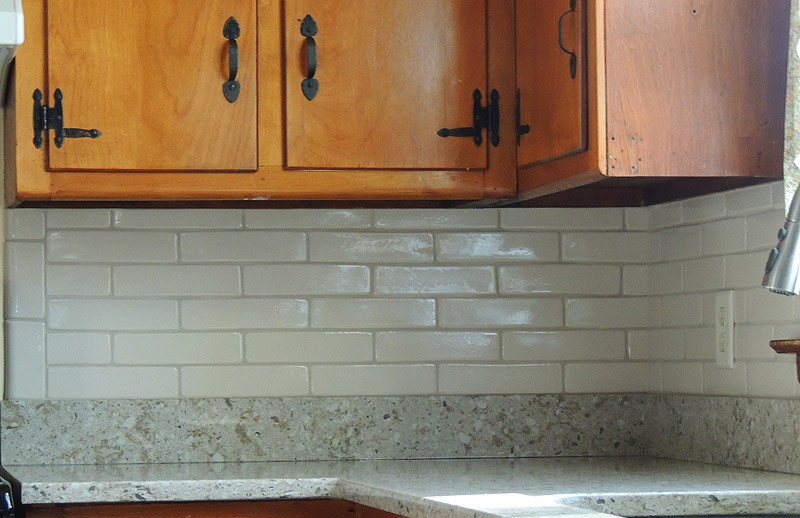 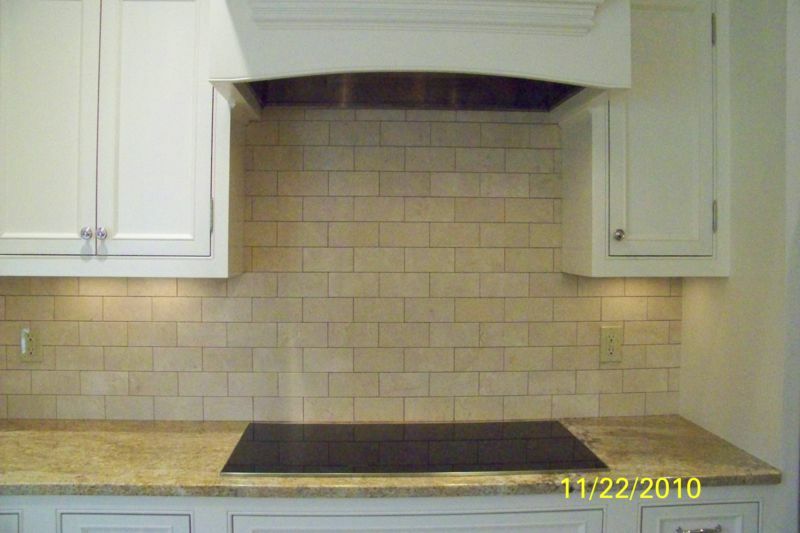 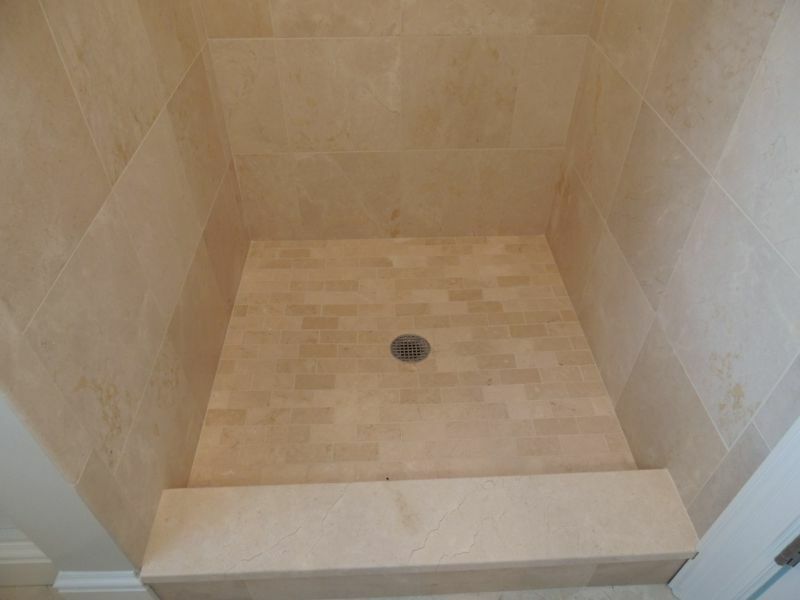 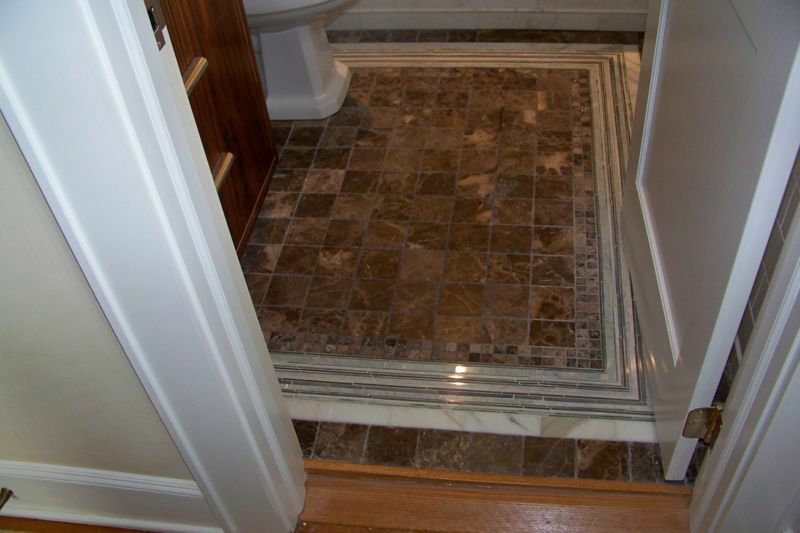 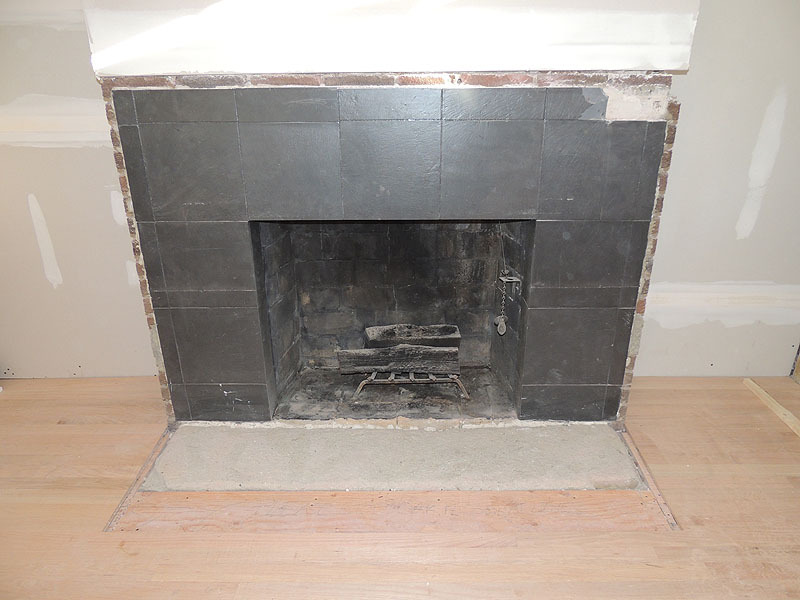 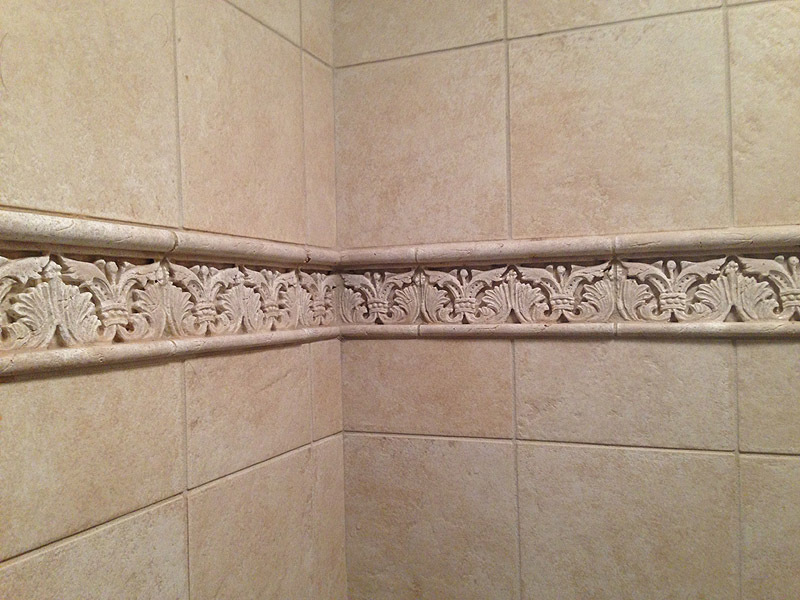 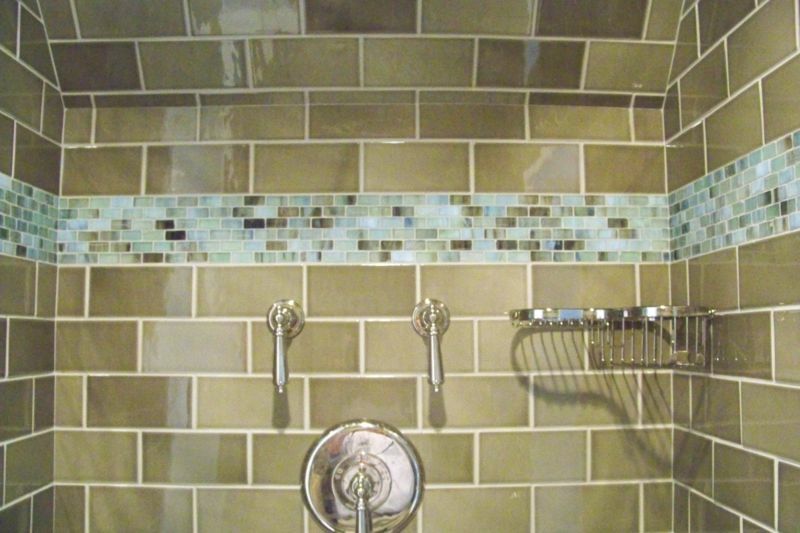 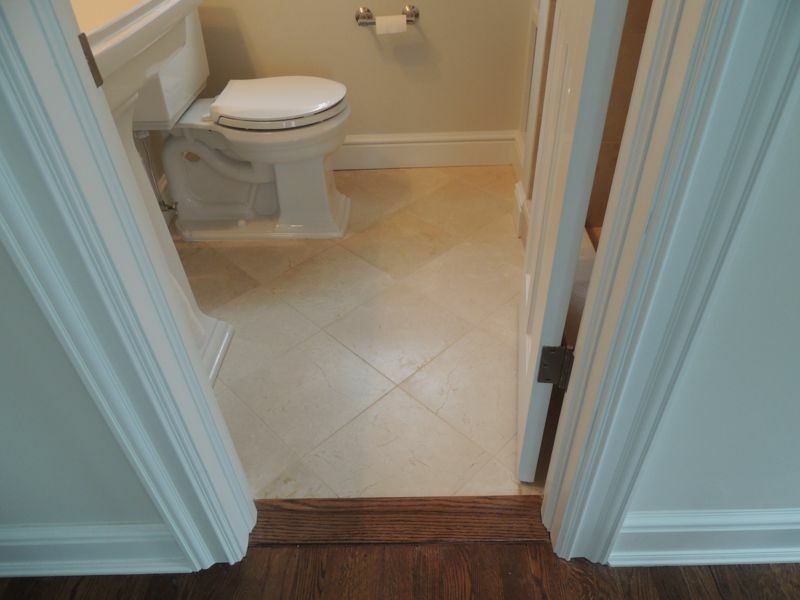 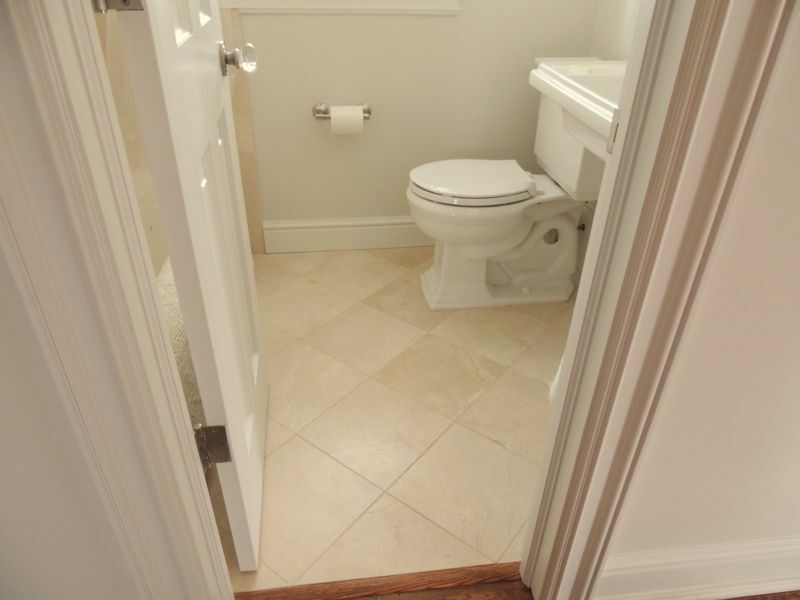 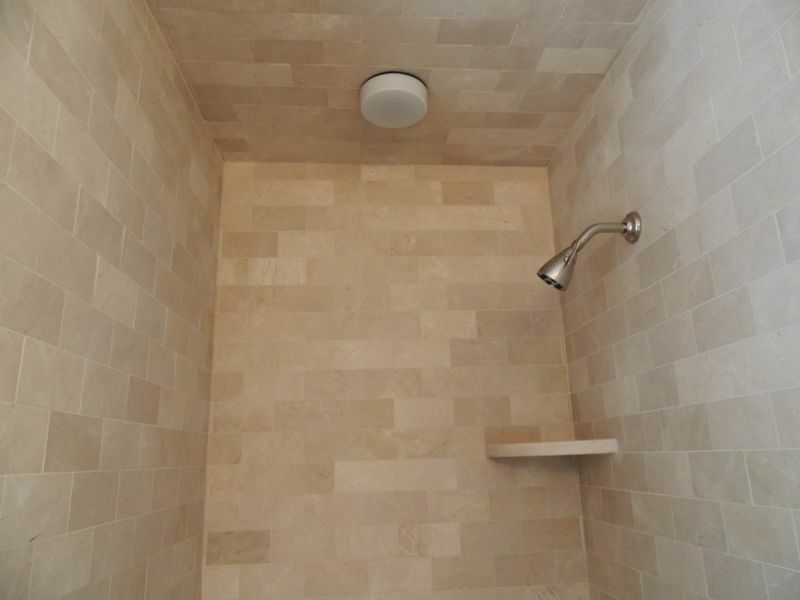 In this Gallery you will see pictures of old tile jobs that were made to look like new again. 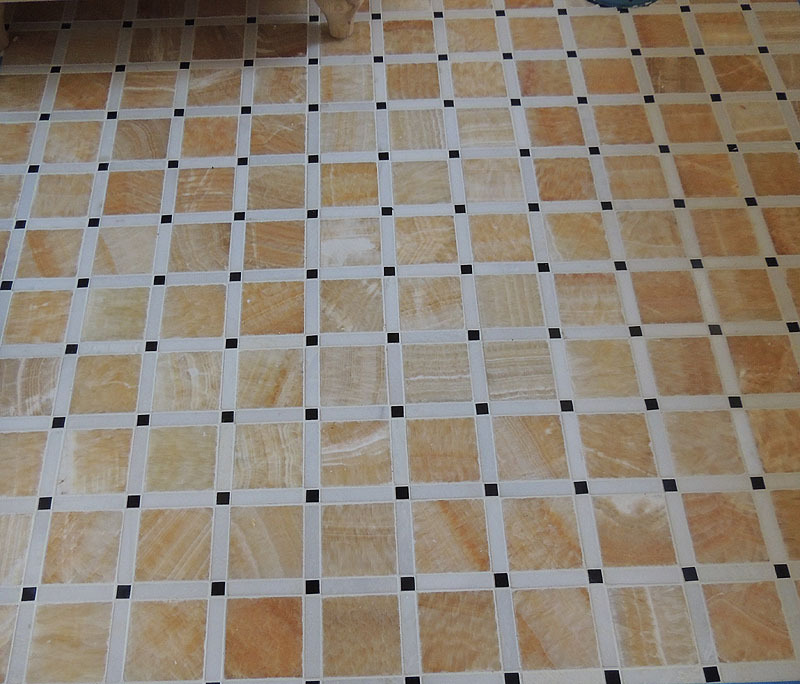 There are also examples of floor preparations. 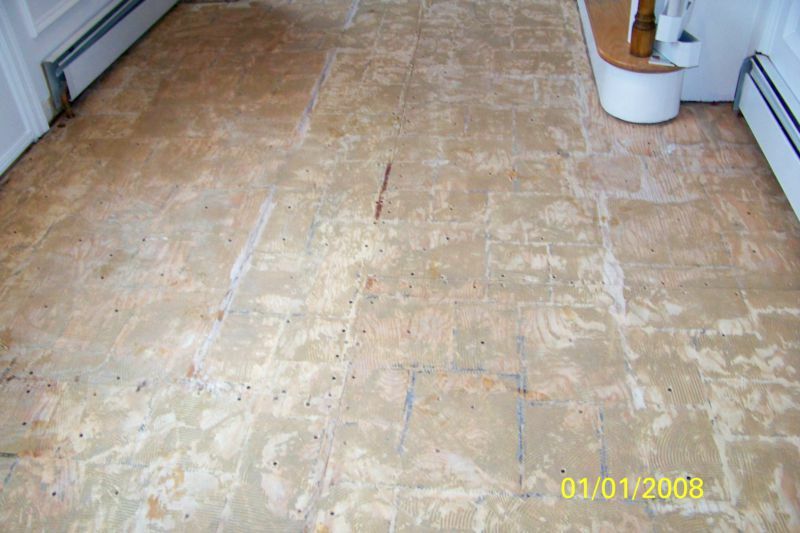 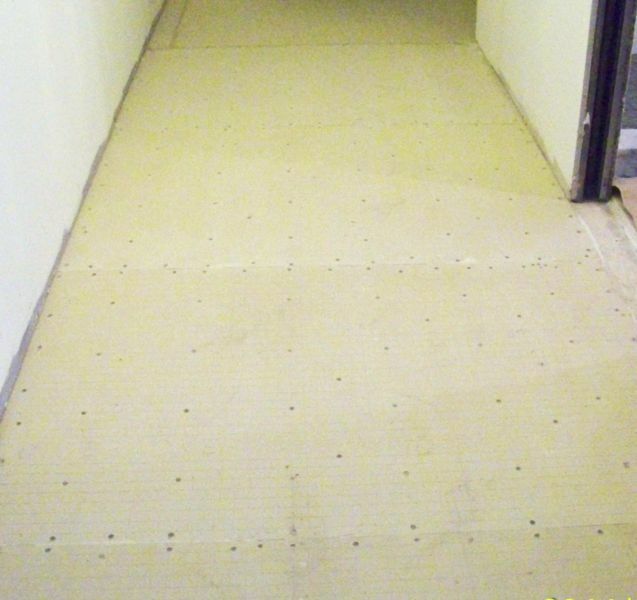 Hardibacker is a waterproof underlayment used when moisture may be a concern. 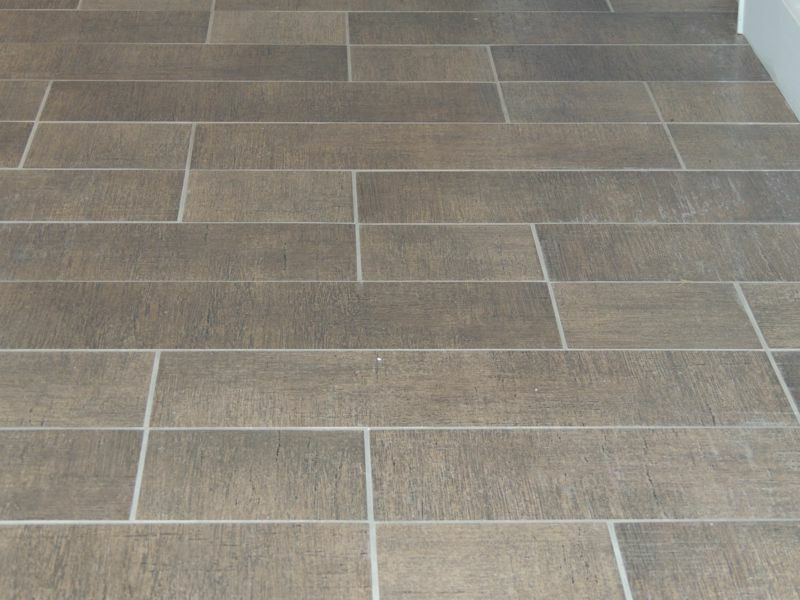 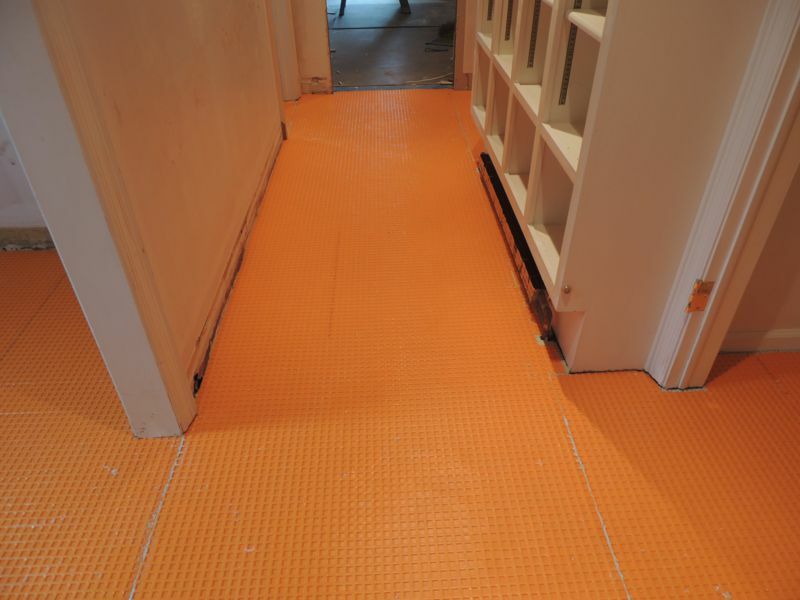 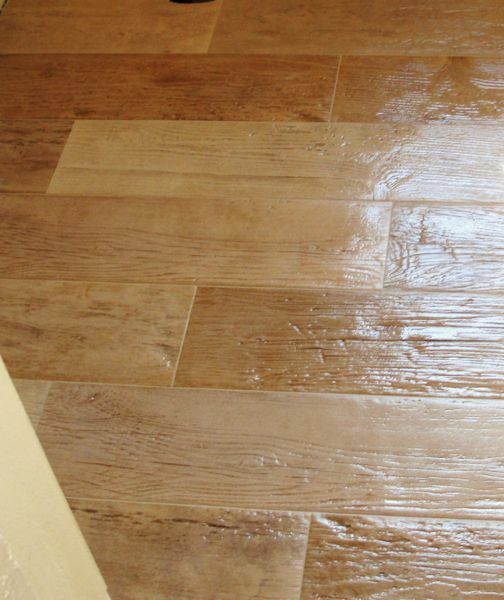 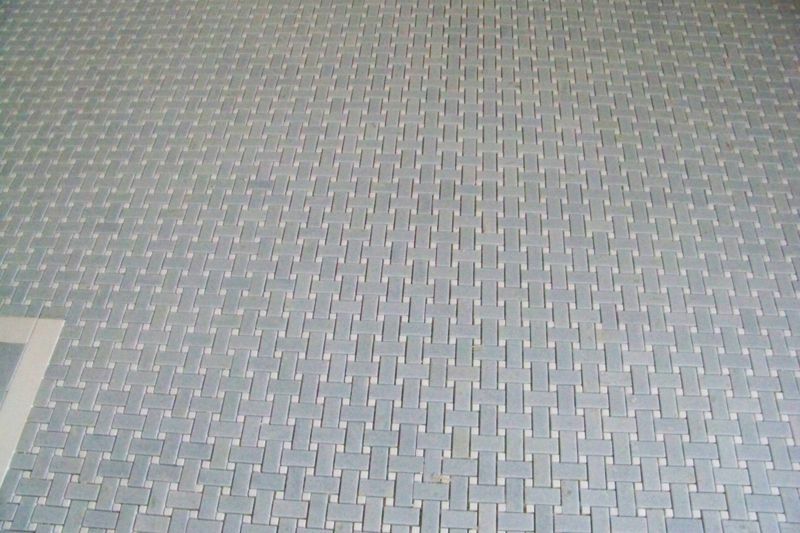 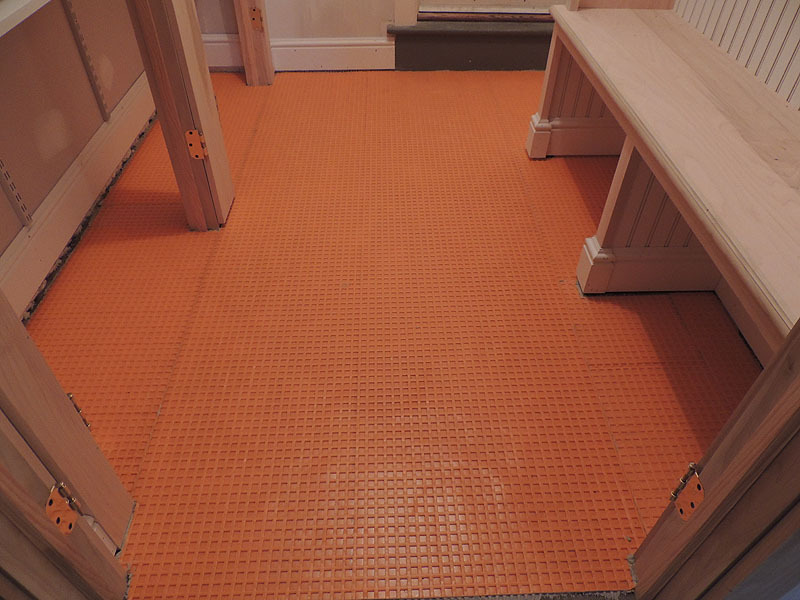 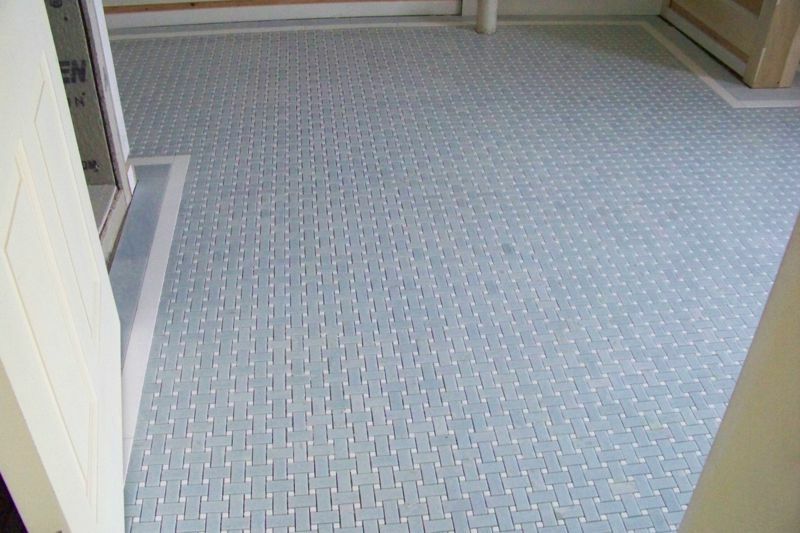 Ditra is a waterproof membrane which is also used to prevent tile from cracking where floor movement may be a concern. 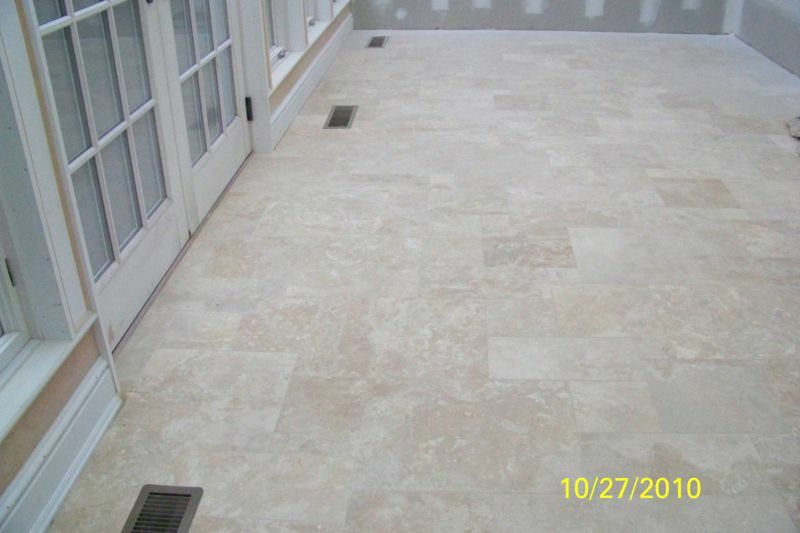 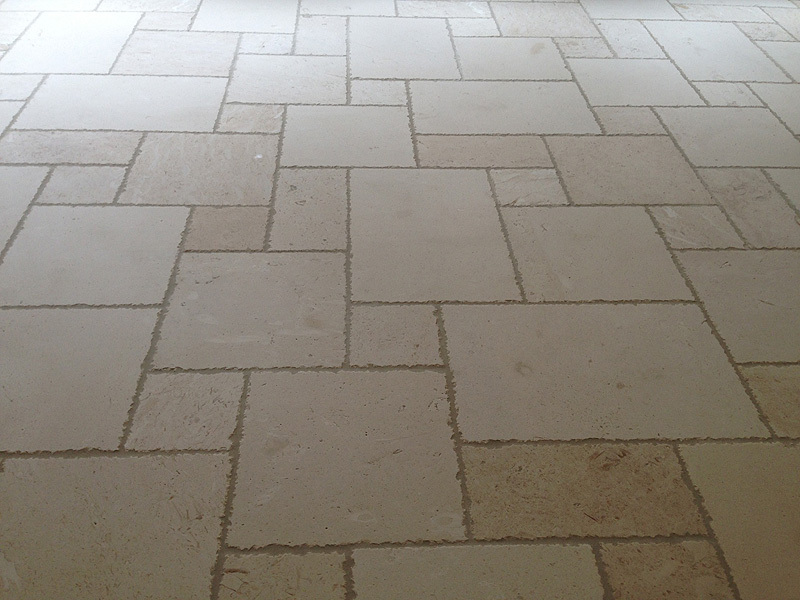 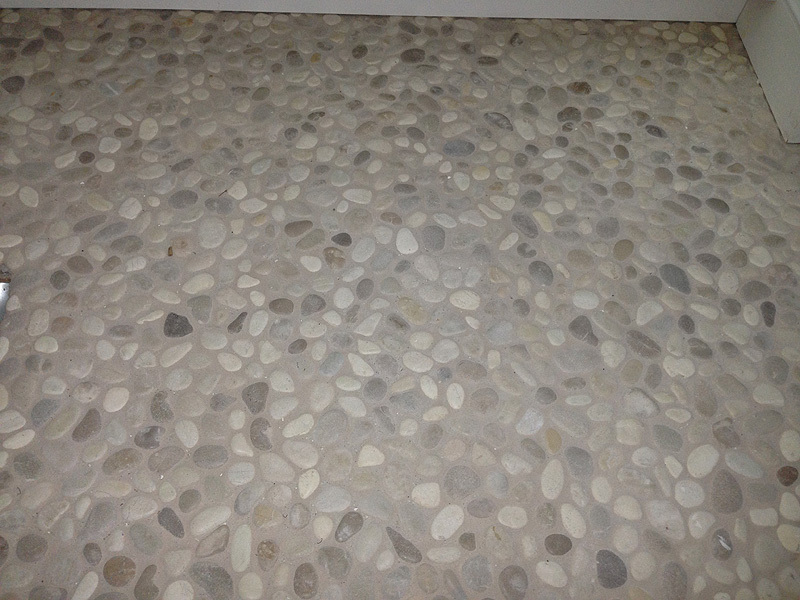 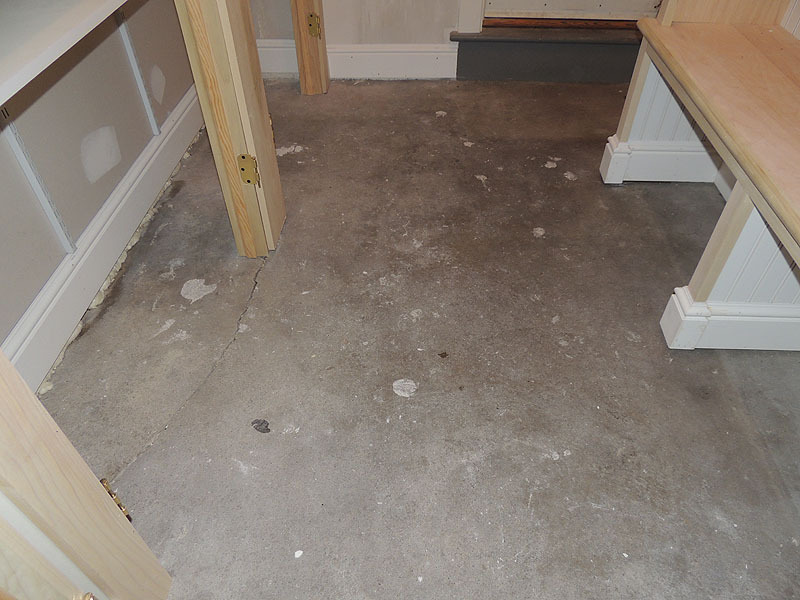 We also specialize in cement mud floors where leveling is necessary.